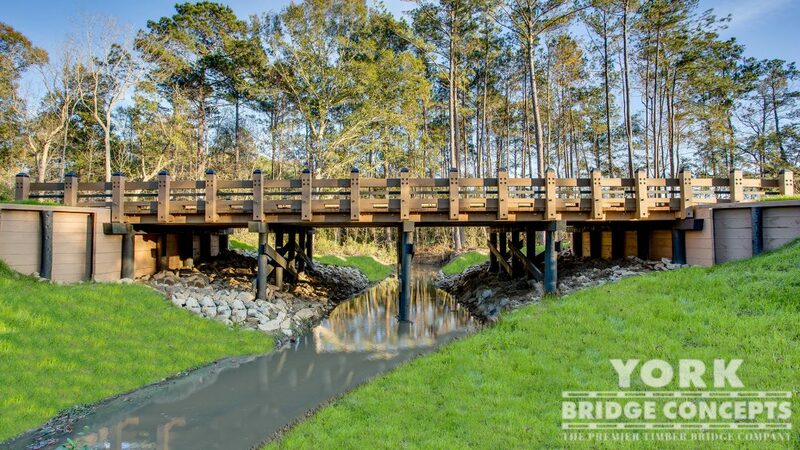 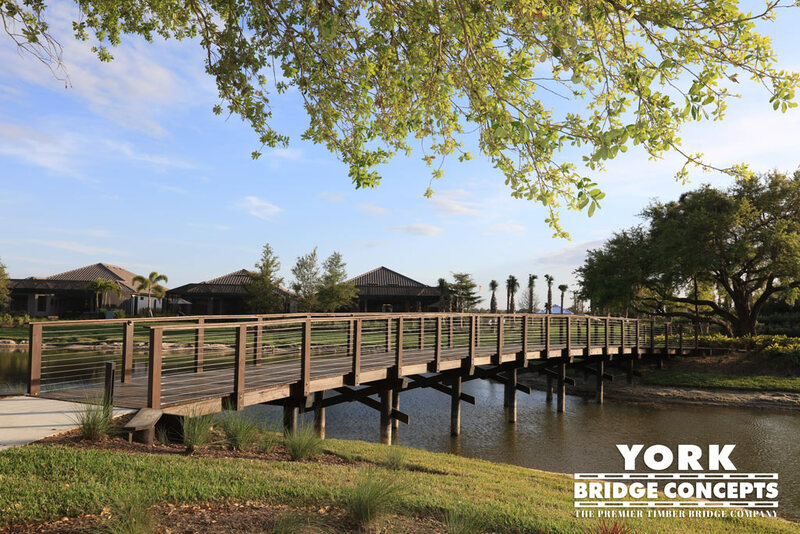 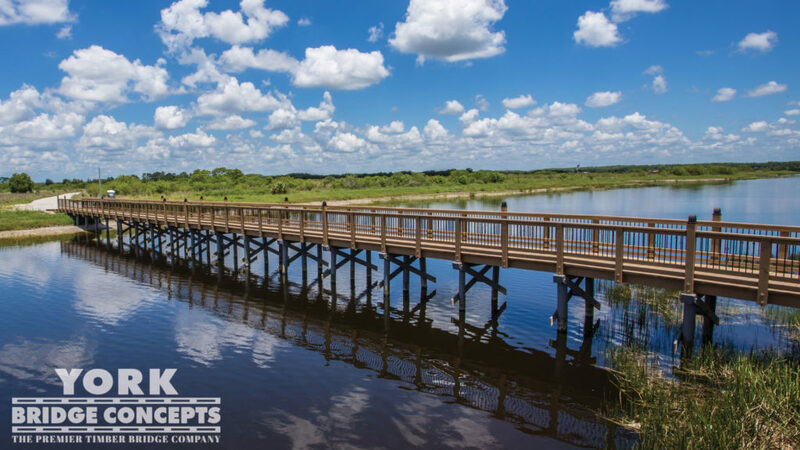 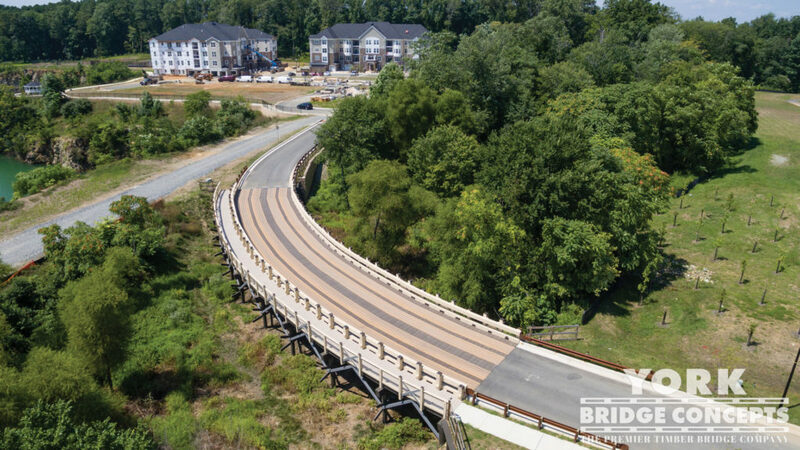 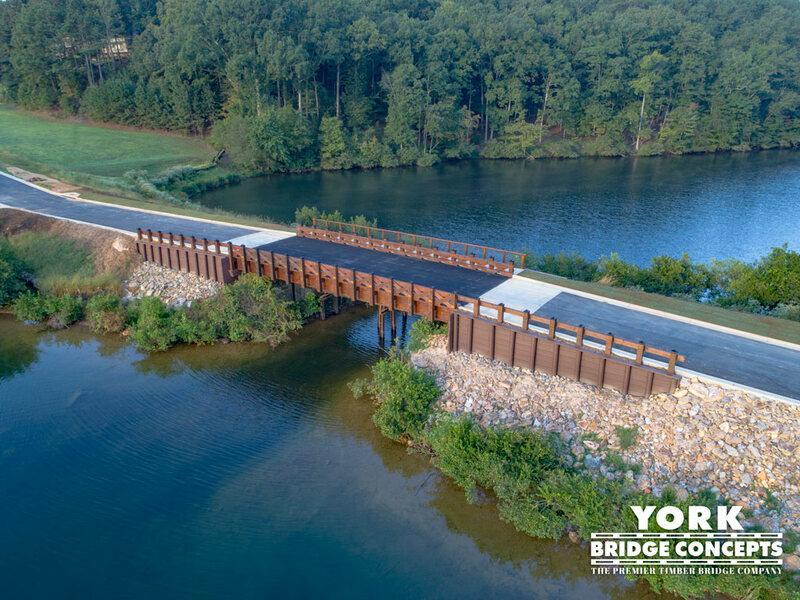 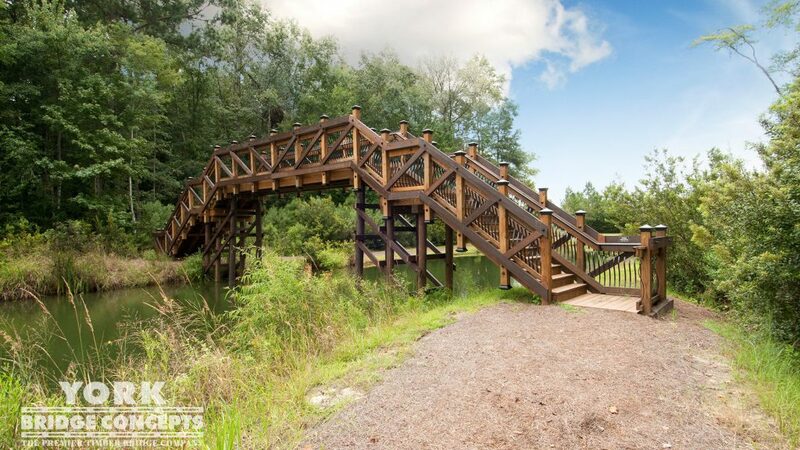 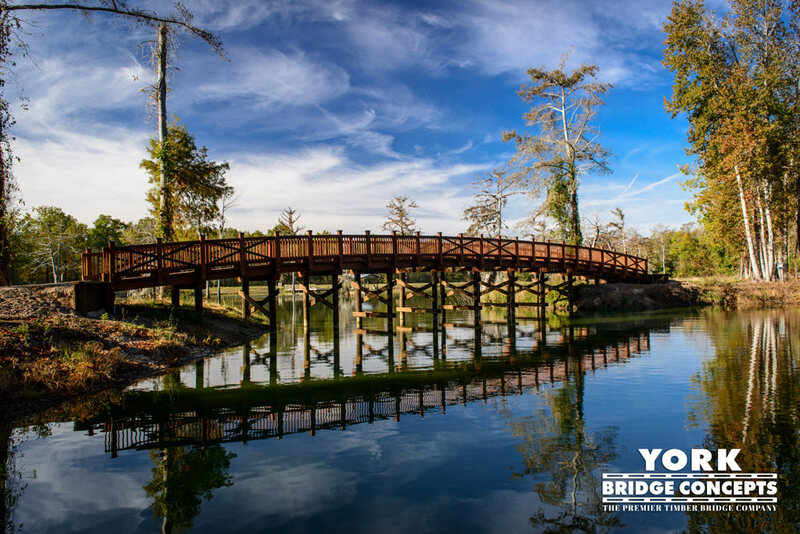 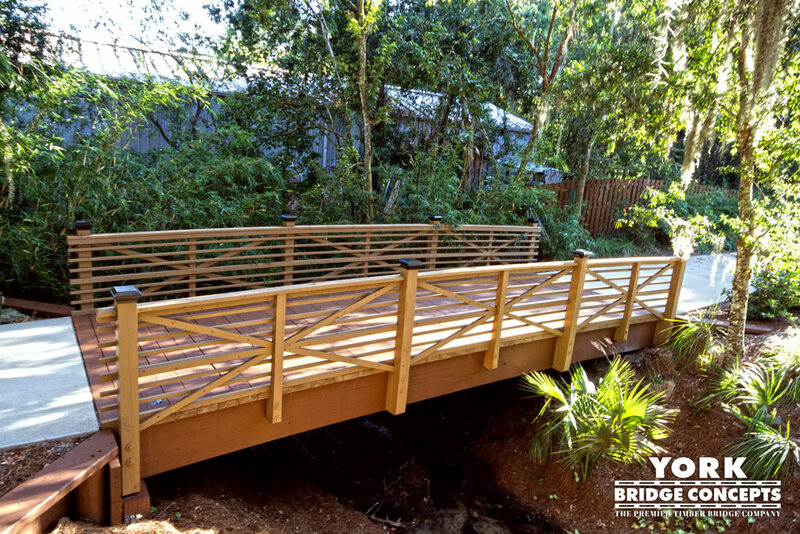 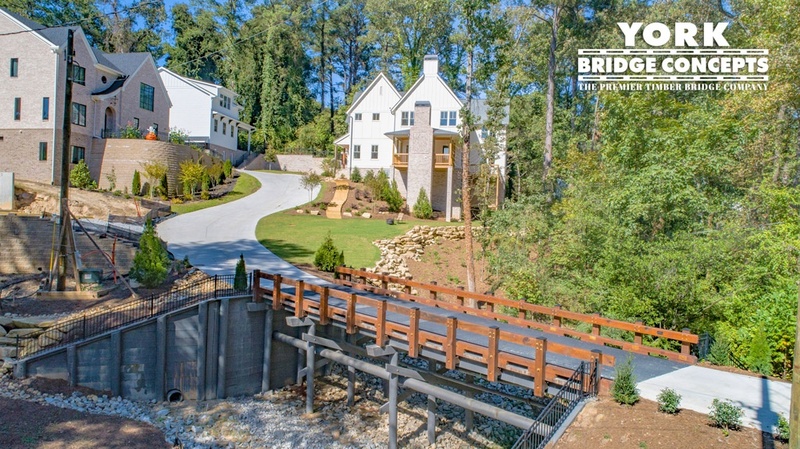 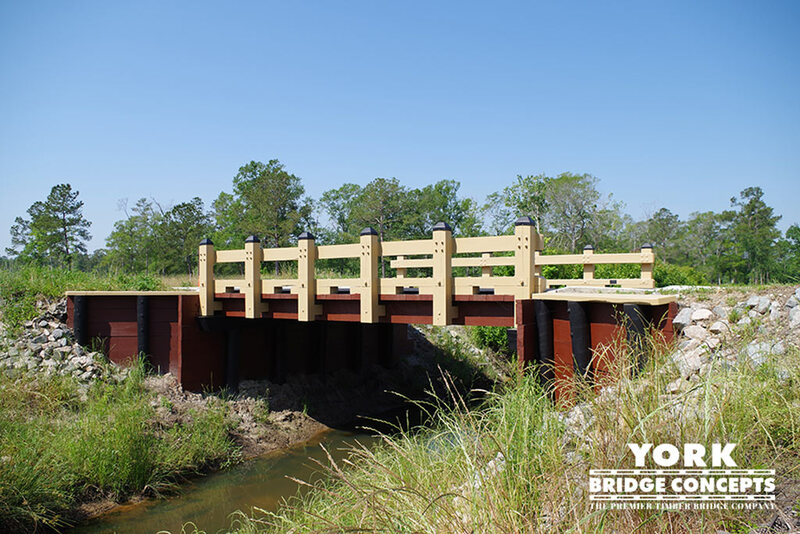 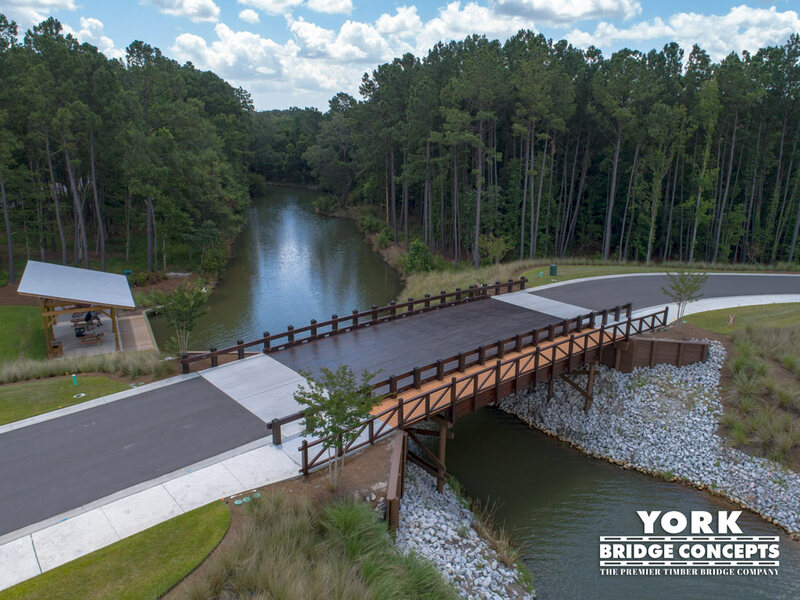 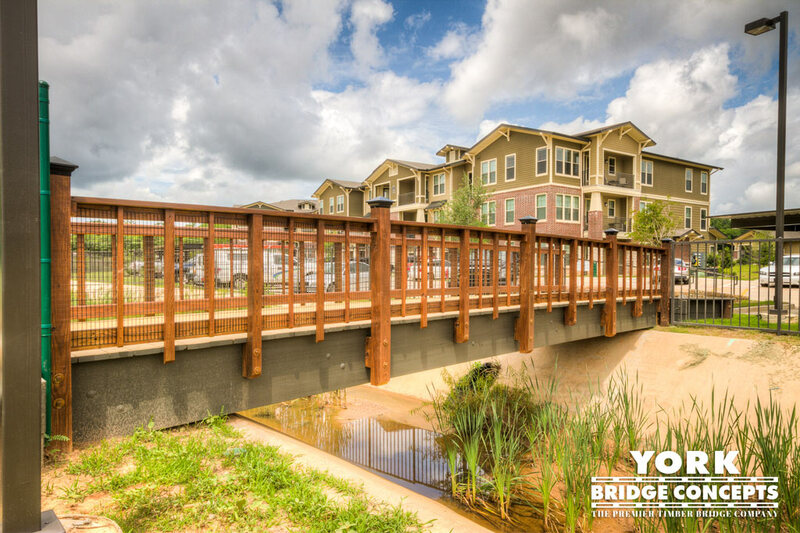 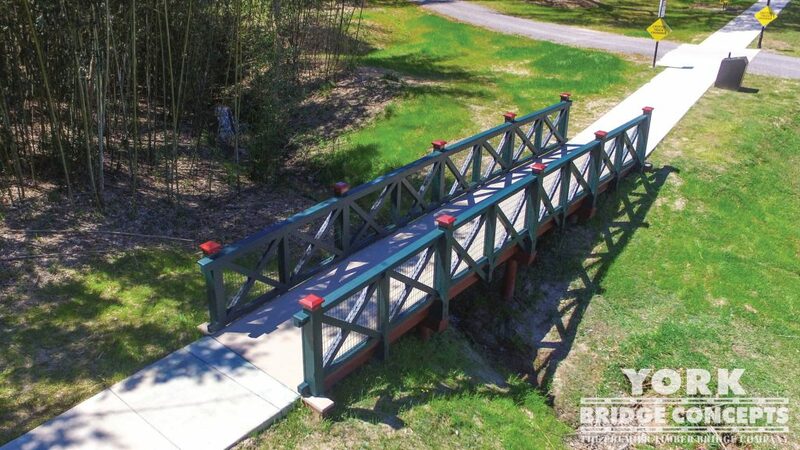 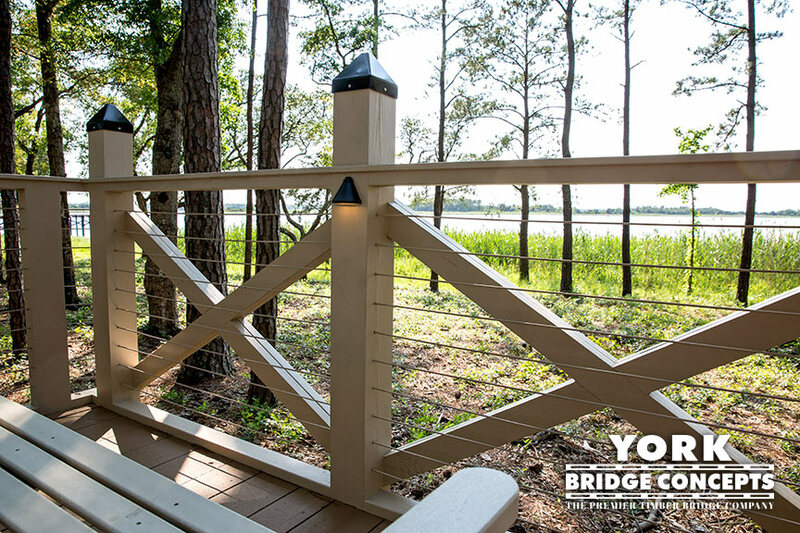 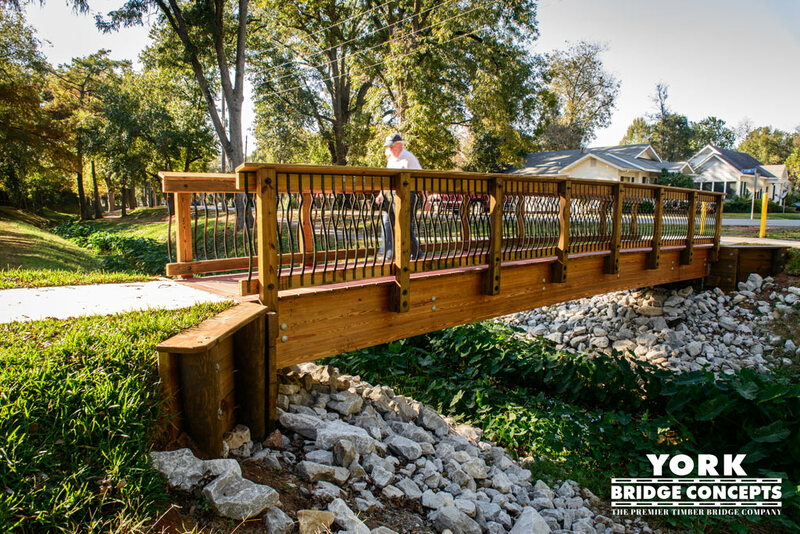 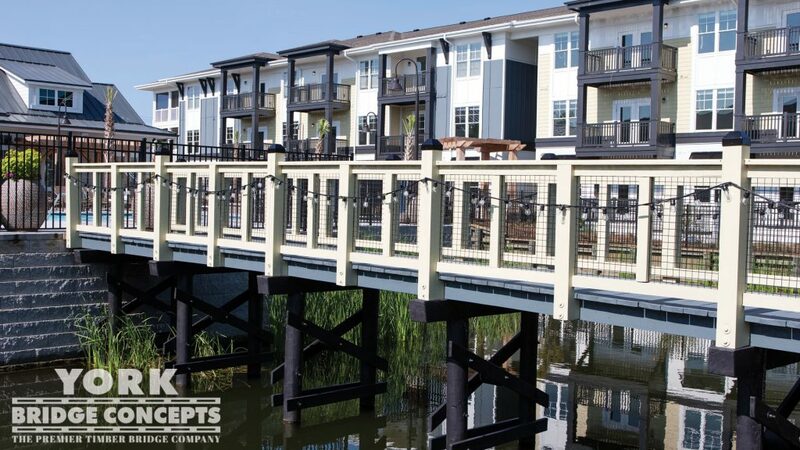 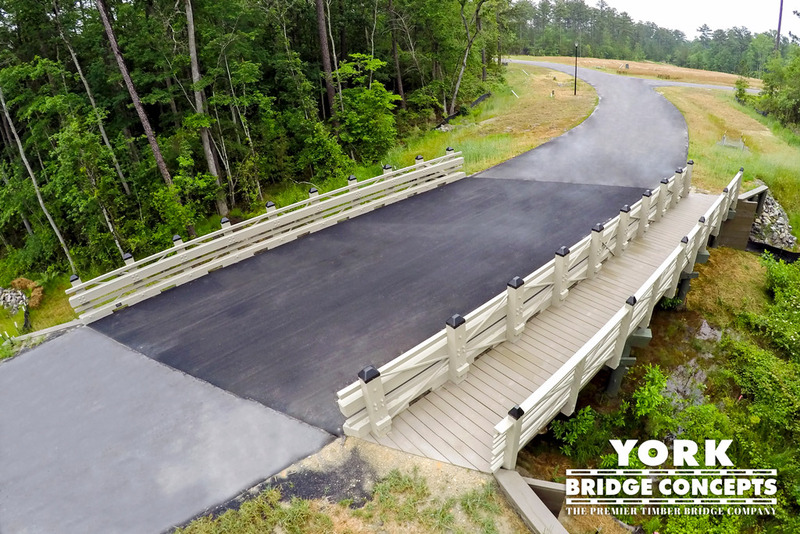 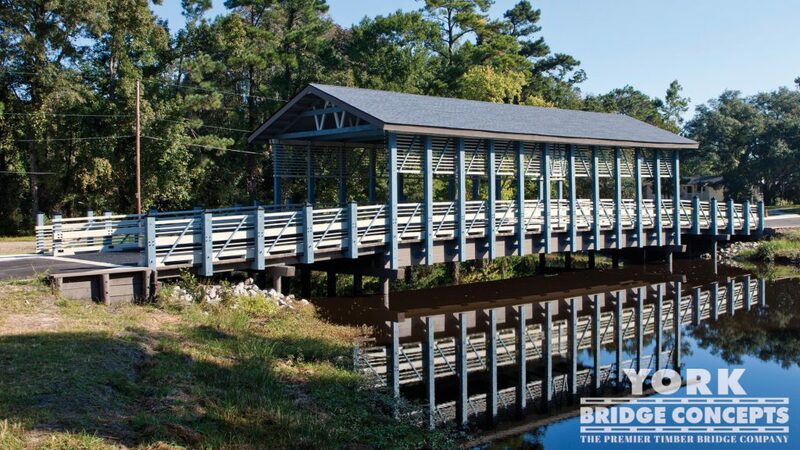 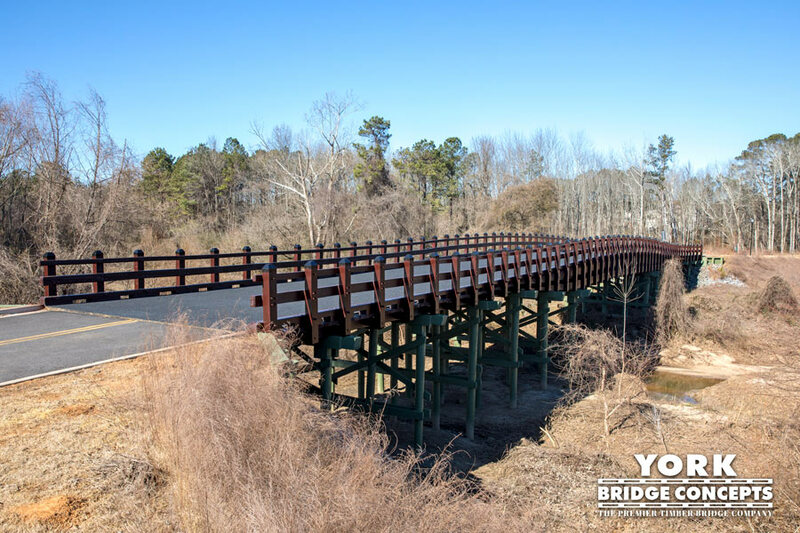 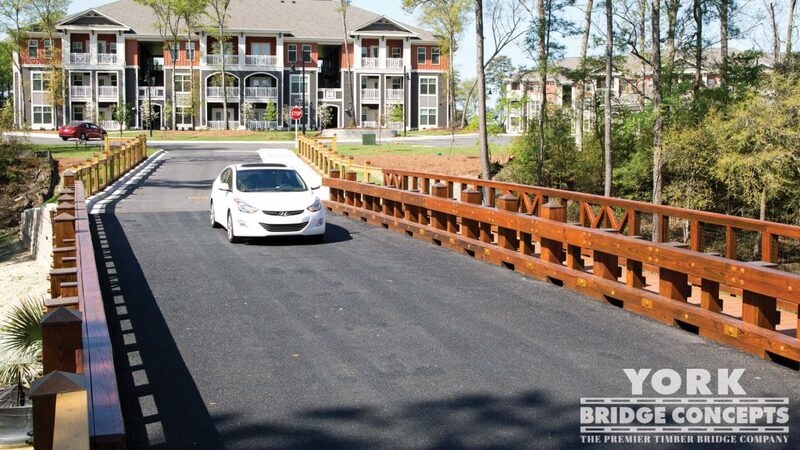 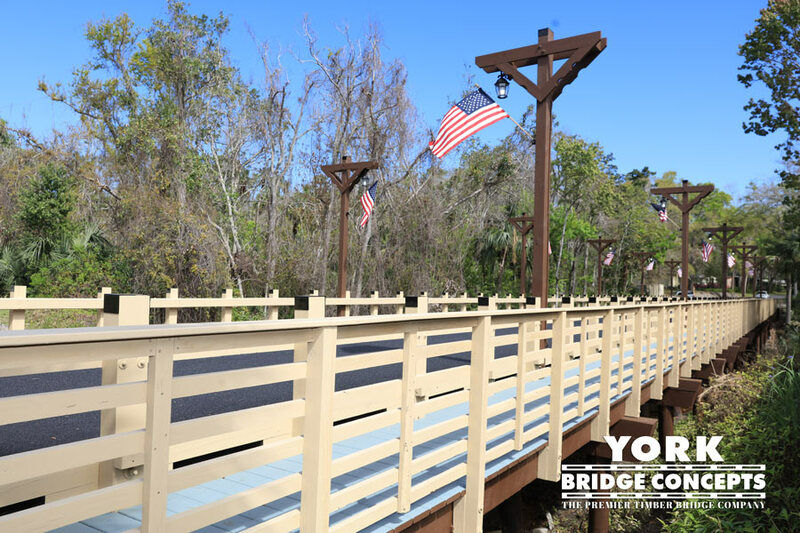 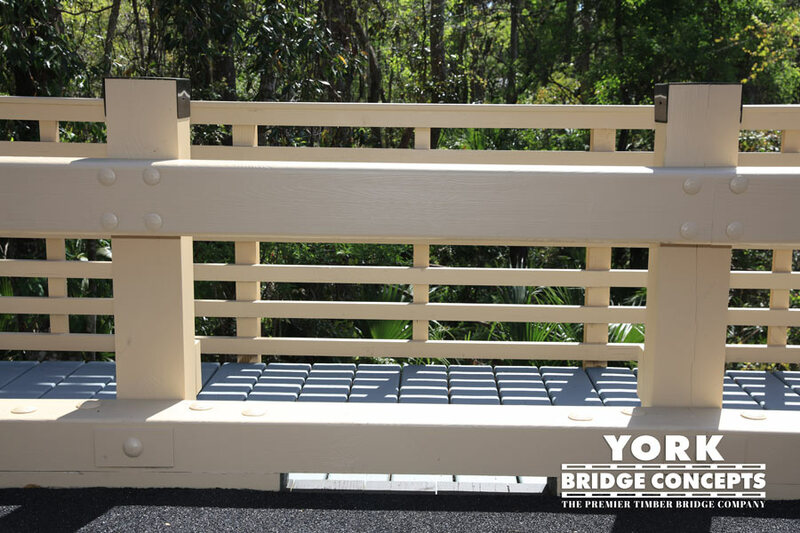 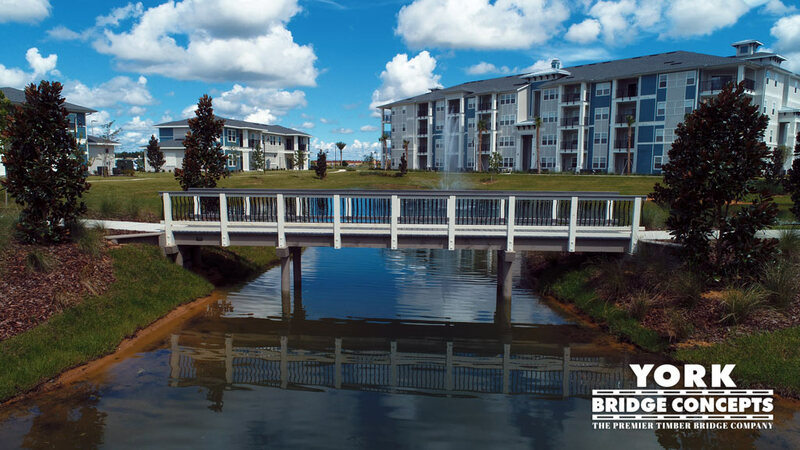 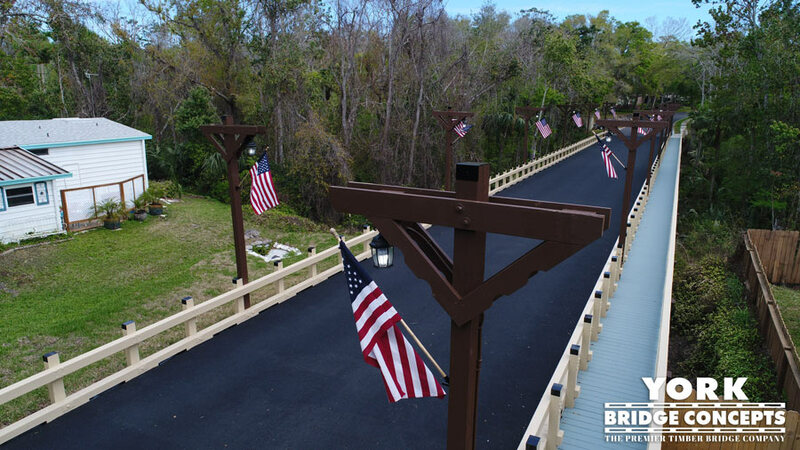 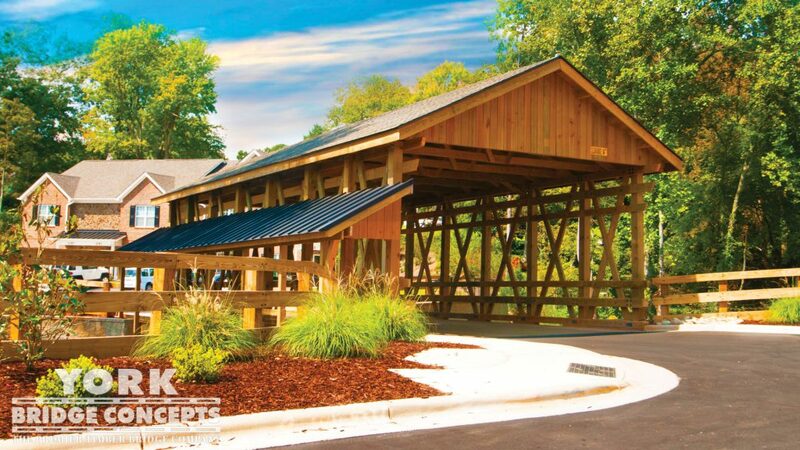 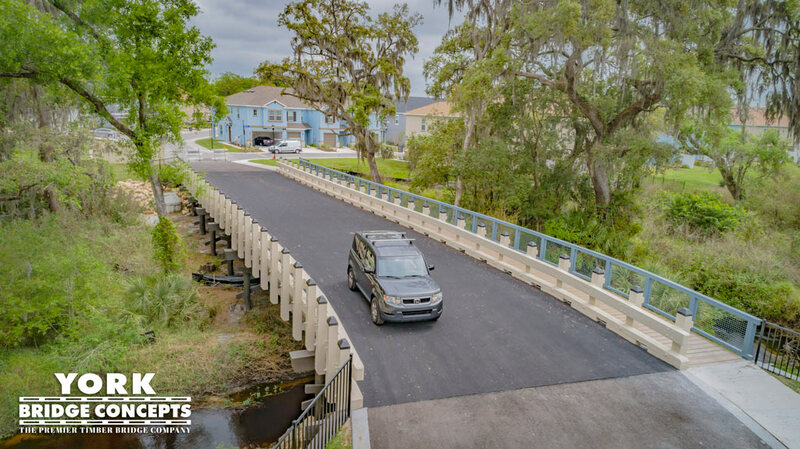 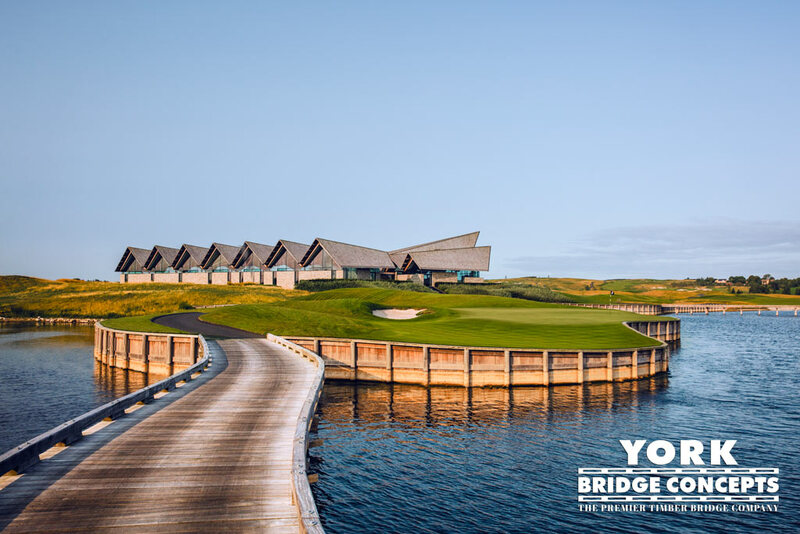 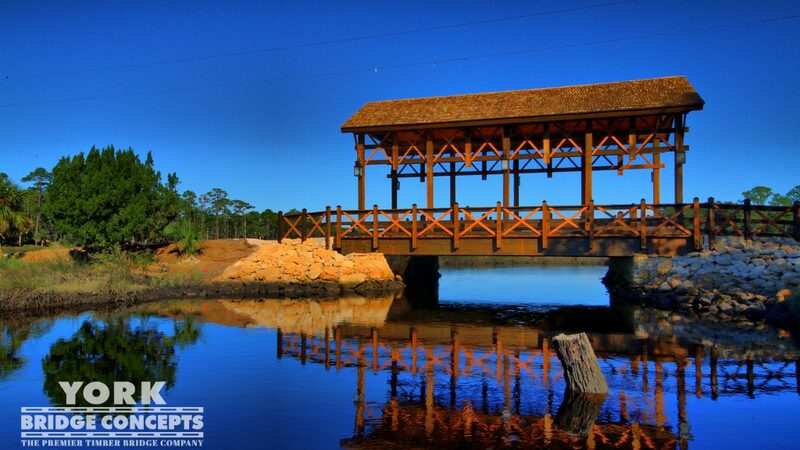 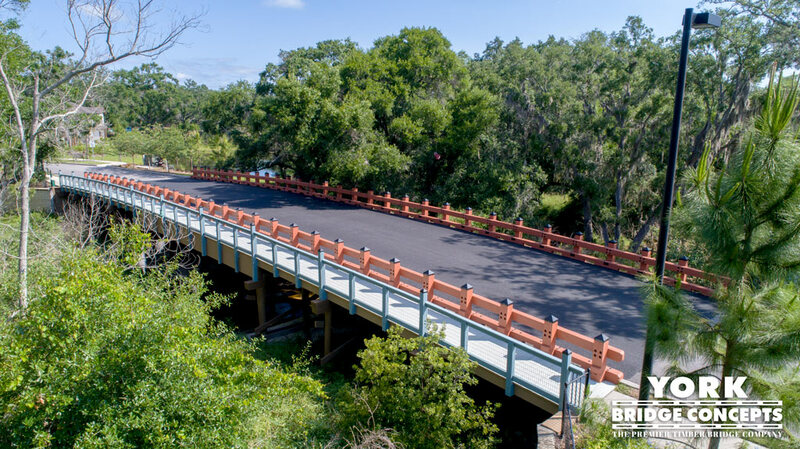 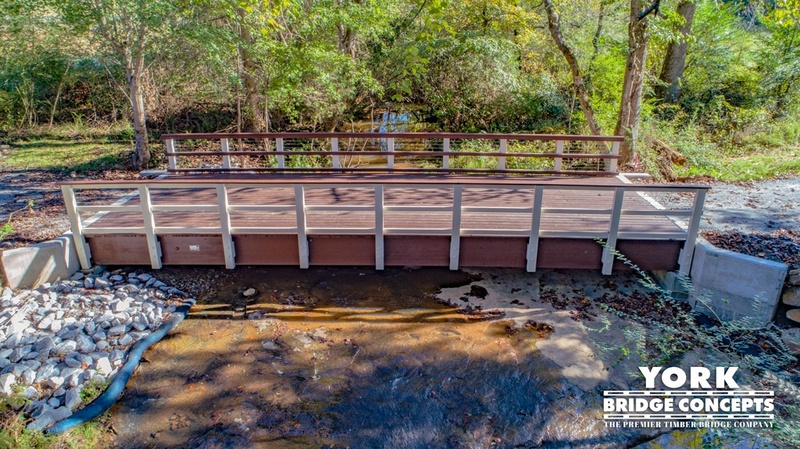 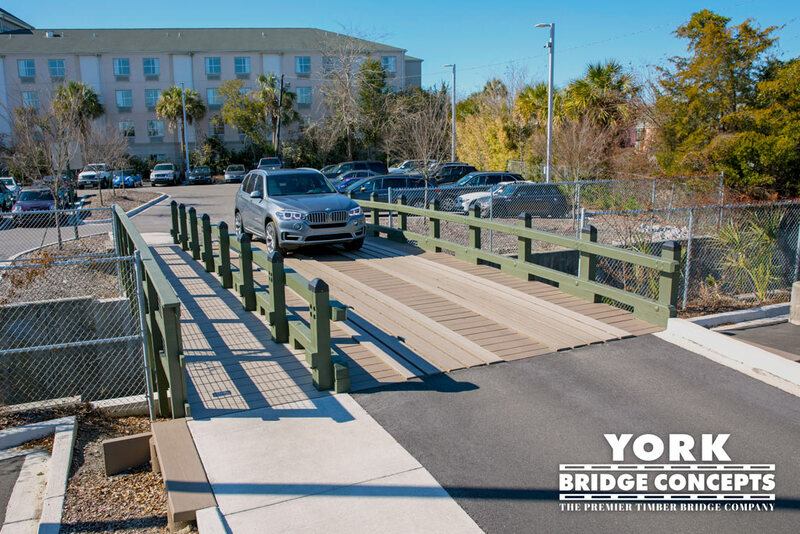 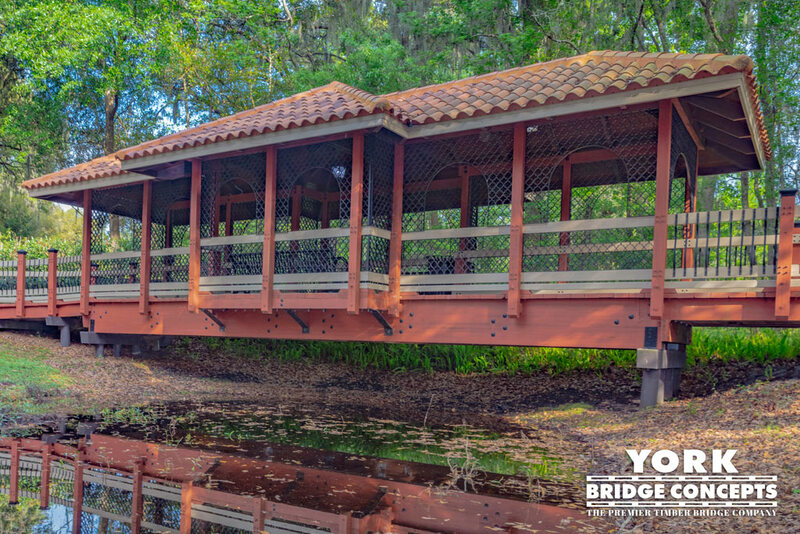 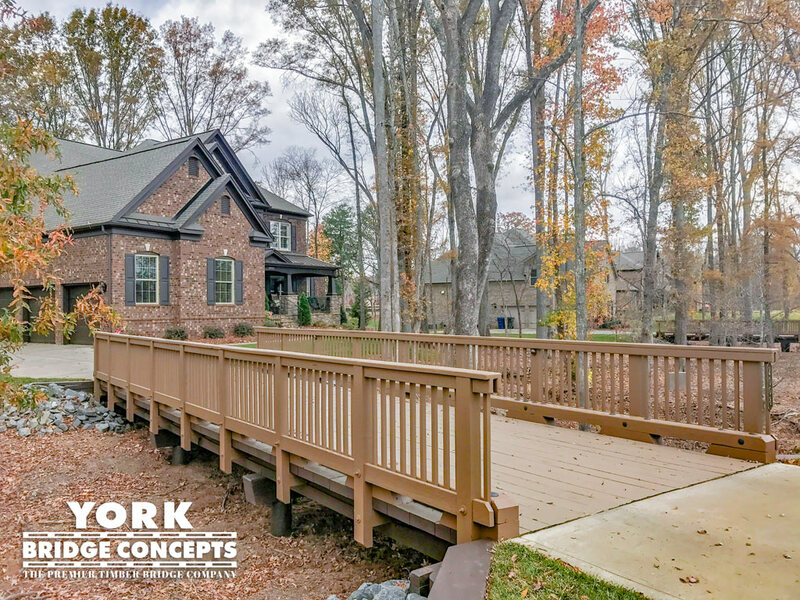 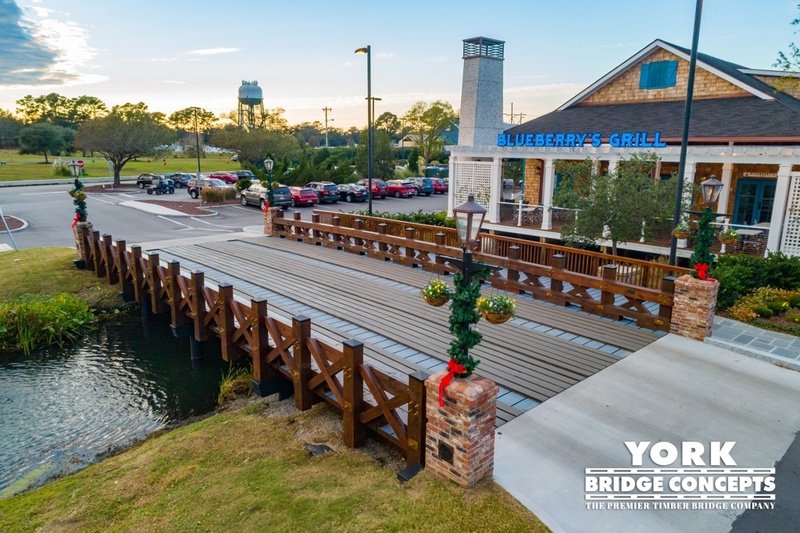 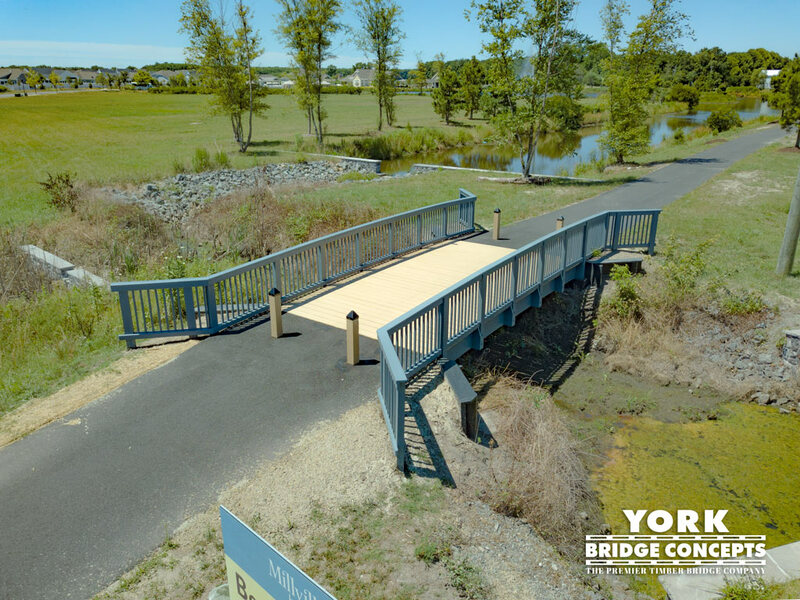 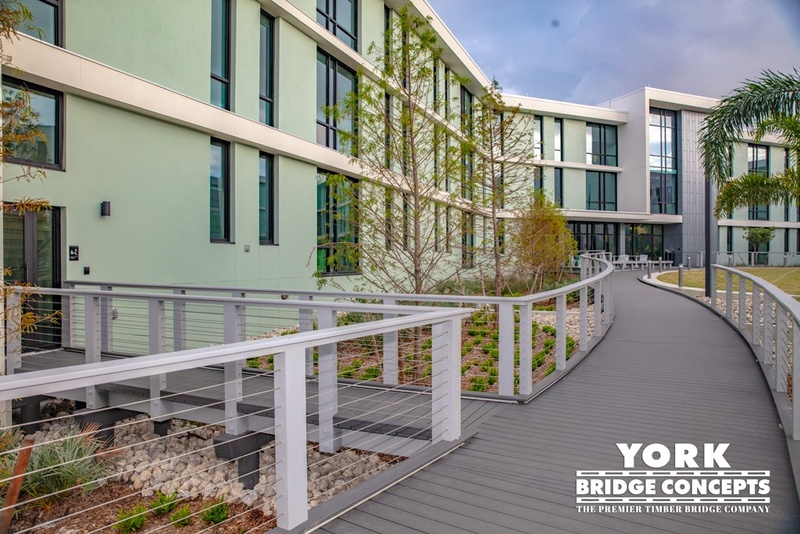 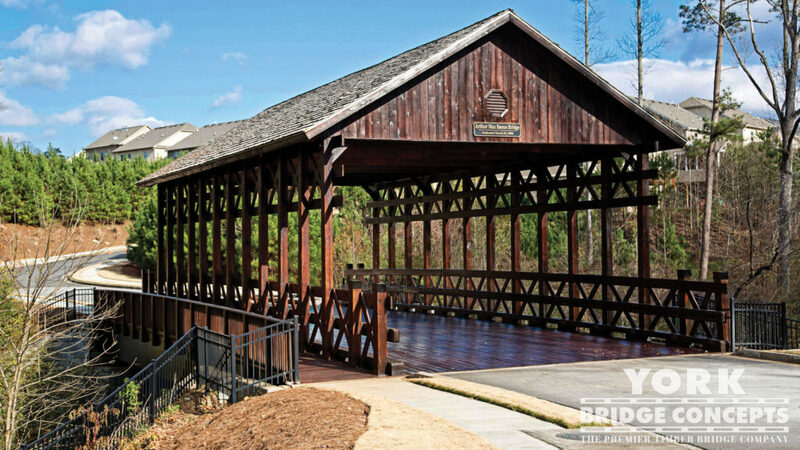 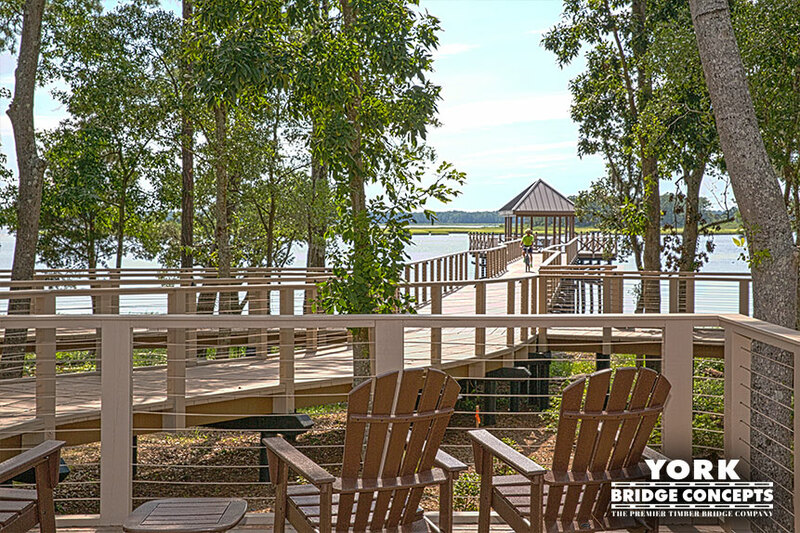 YBC partnered with Reed Development in Bluffton, SC to create a Legacy York Bridge for their sustainable community of Hampton Lake voted “Best Community & Club In America” by the National Association of Home Builders. 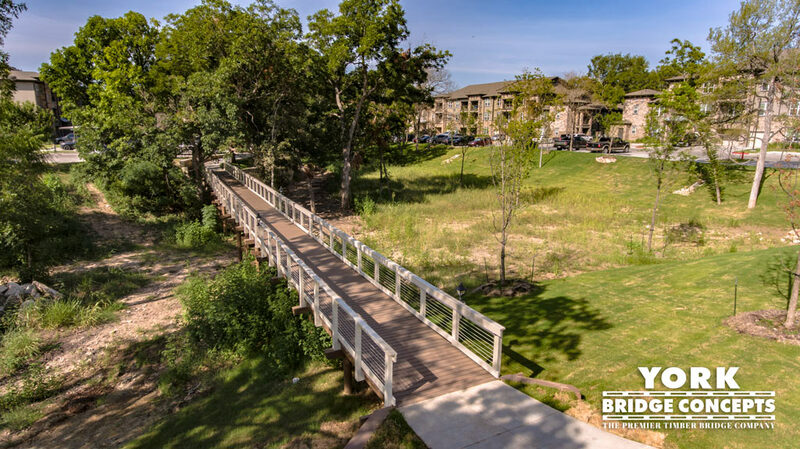 Home to over 800 Residents and growing, the nature-based community is brimming with activity and high-quality living. 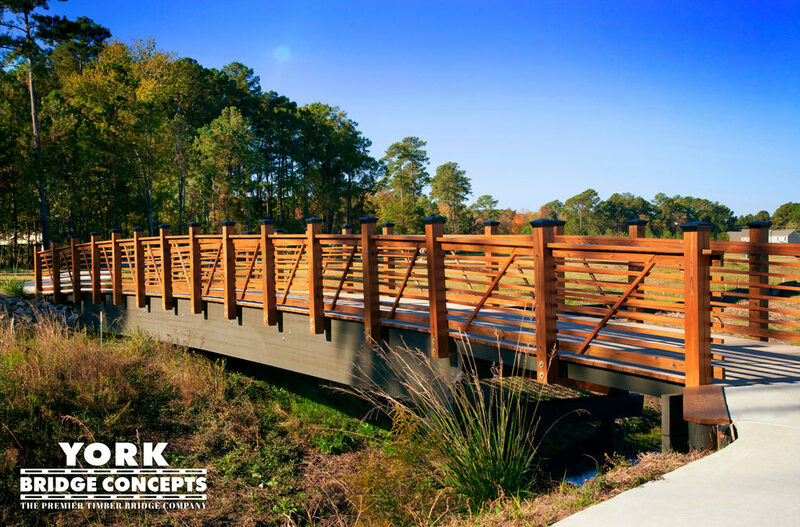 Our DeceroTM Design Team was inspired by the community’s dedication to a luxury lifestyle infused with its “partnership with nature”. 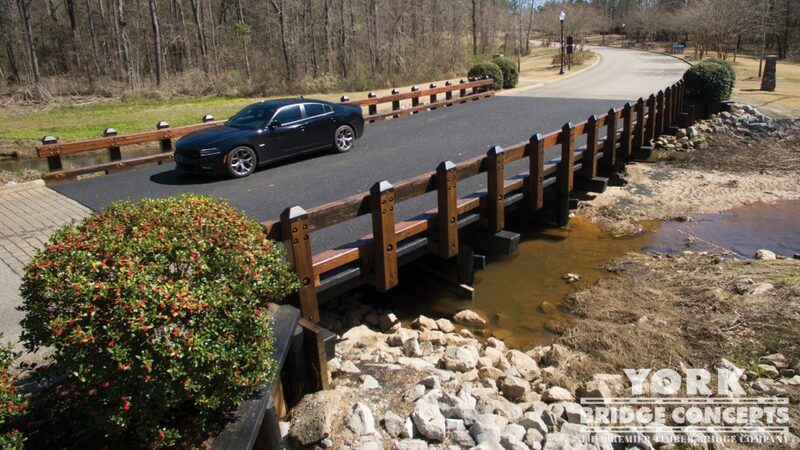 The bridge design raises above a lively lake channel frequented by boaters. 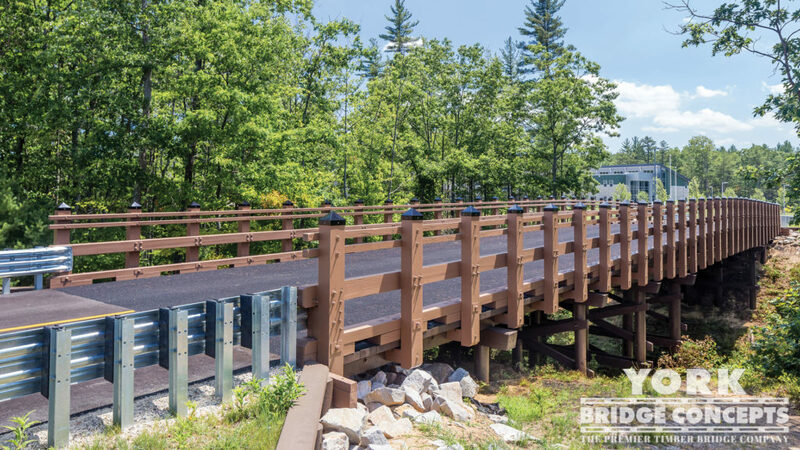 The bridge paths are lined with an open guiderail and rhythmic post caps pointing to the sky, creating an uplifting airy transparent aesthetic. 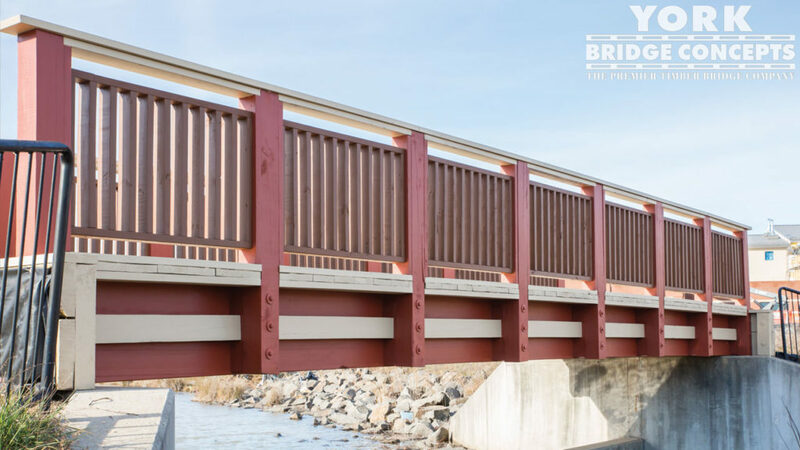 A striking color palette of rustic brown foundations and classic dark oak translucent rails, root the bridge into coastline’s landscape. 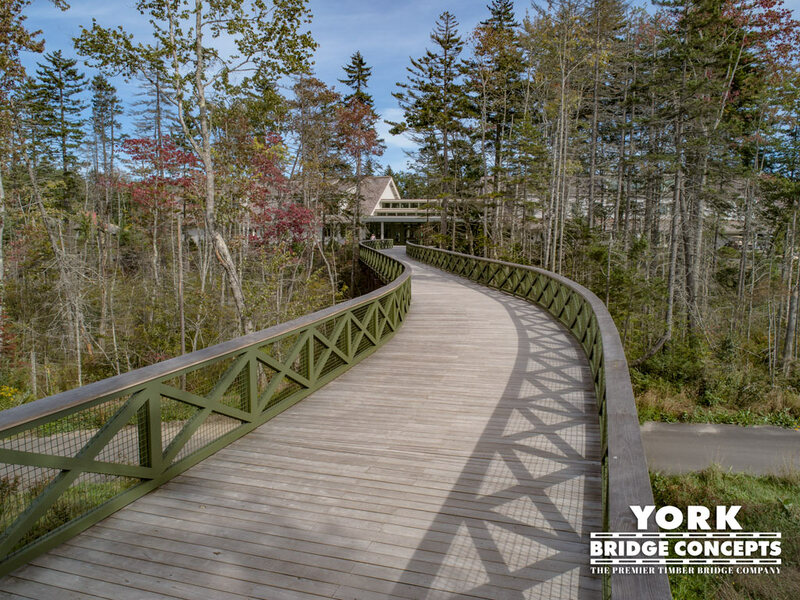 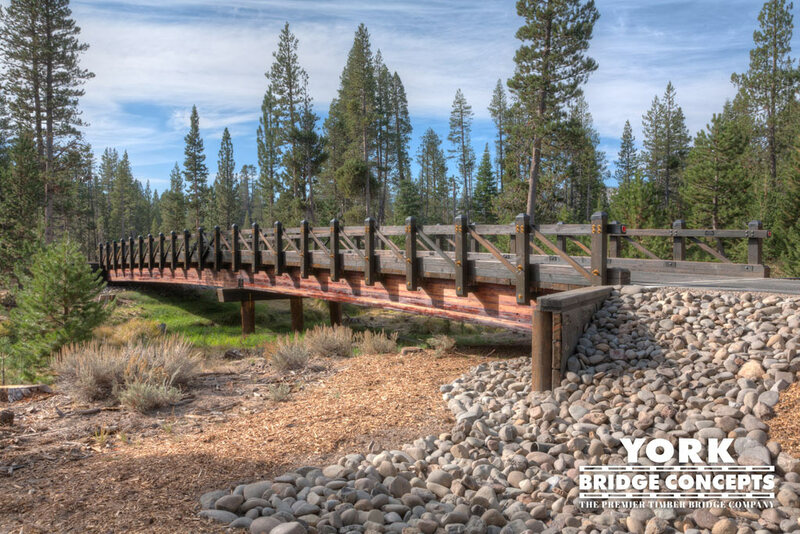 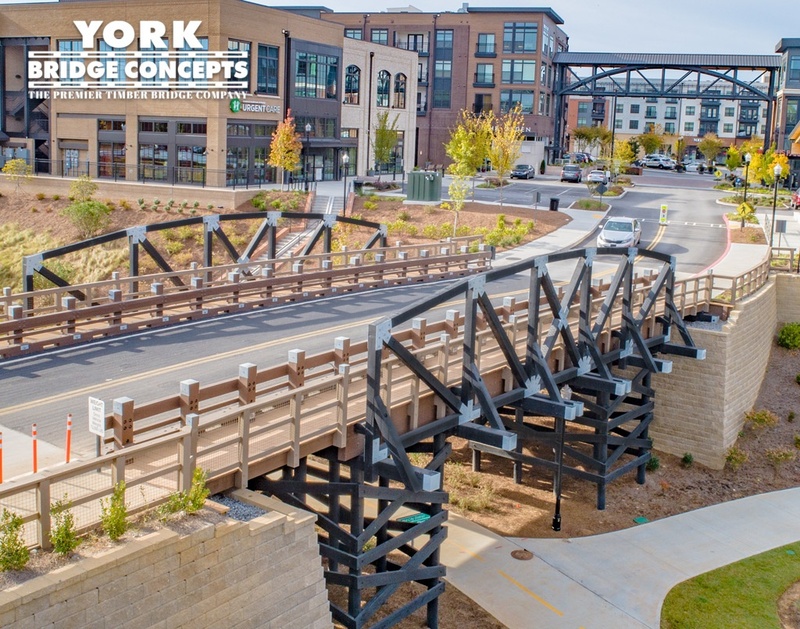 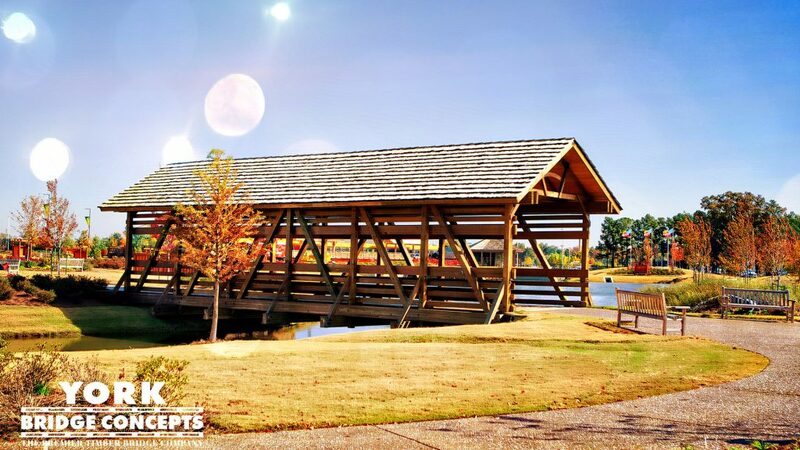 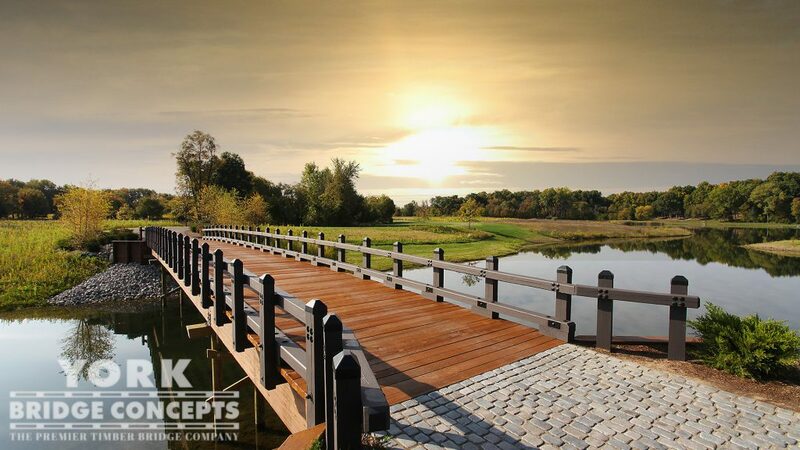 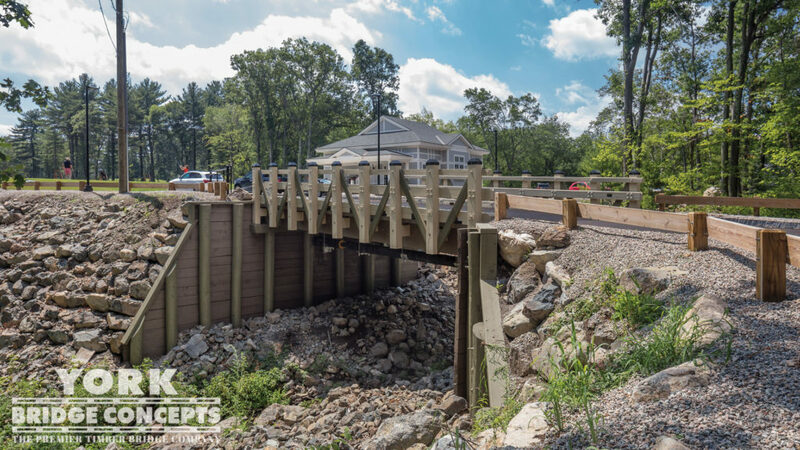 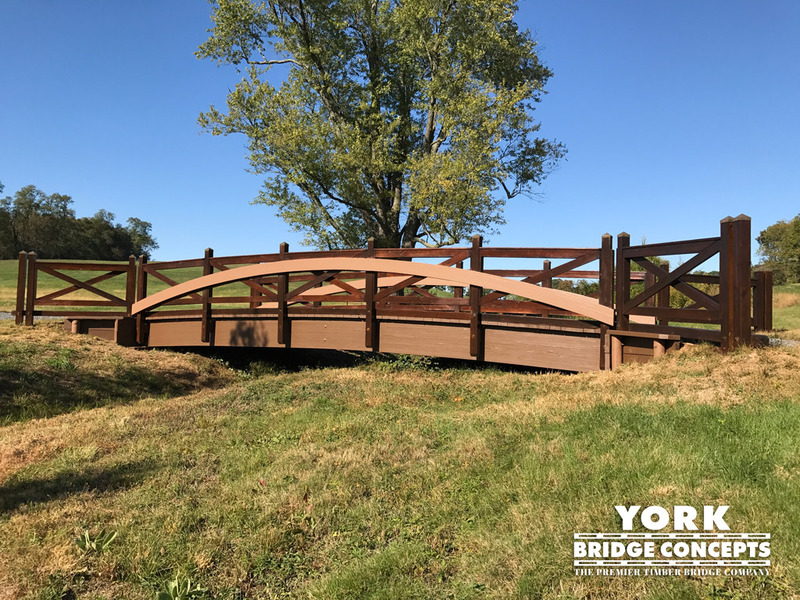 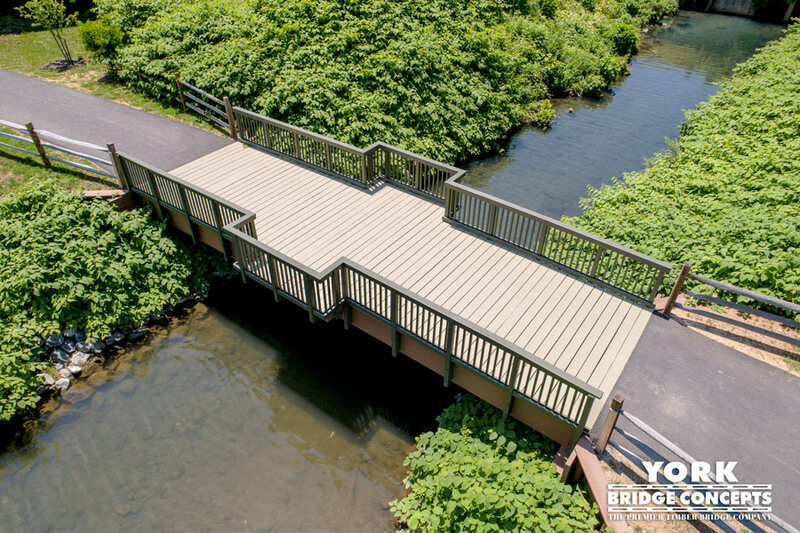 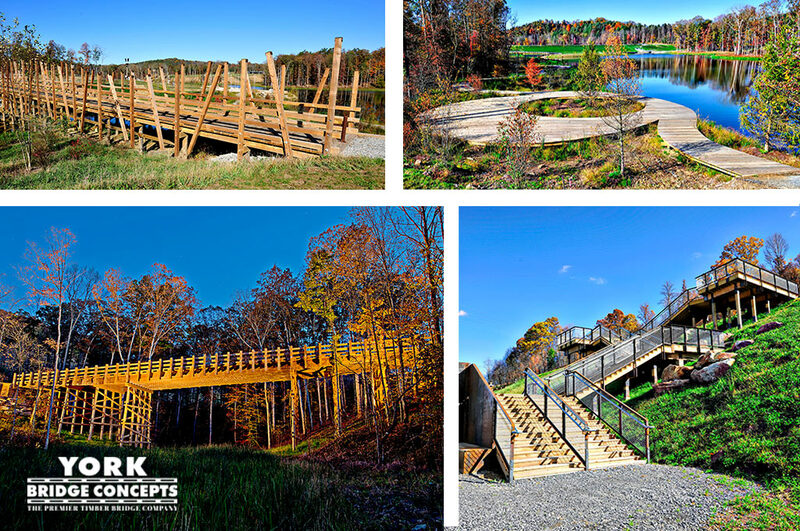 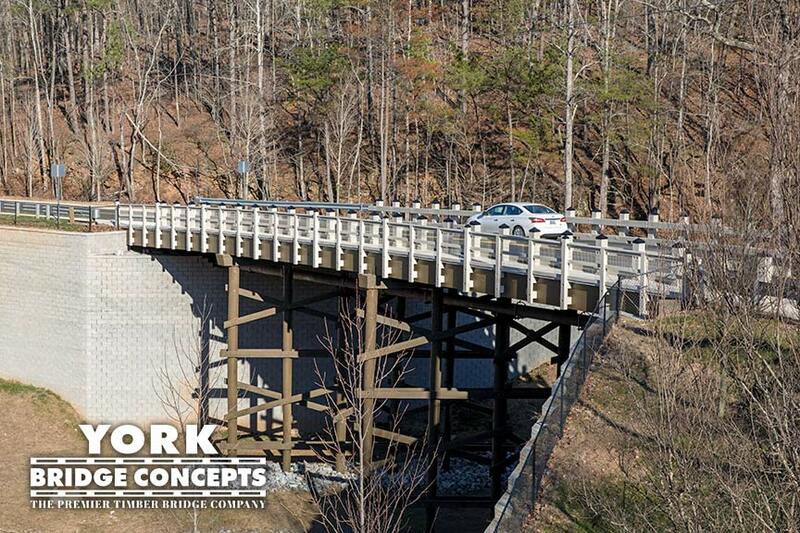 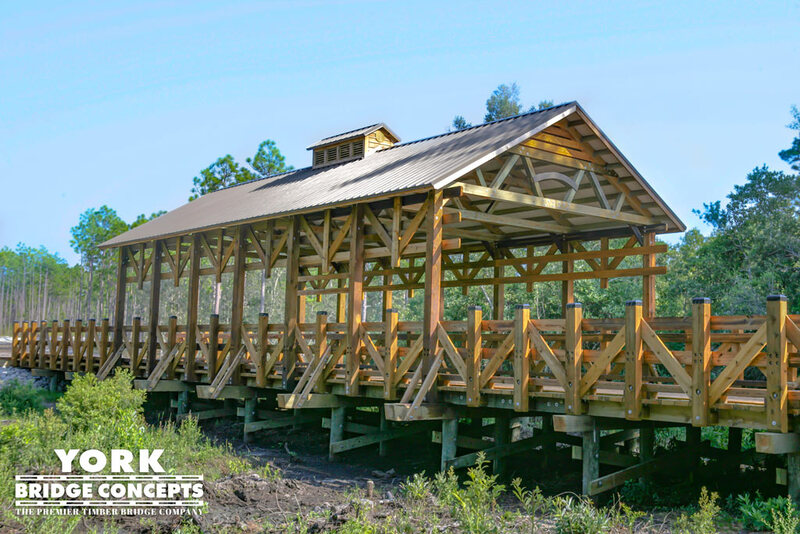 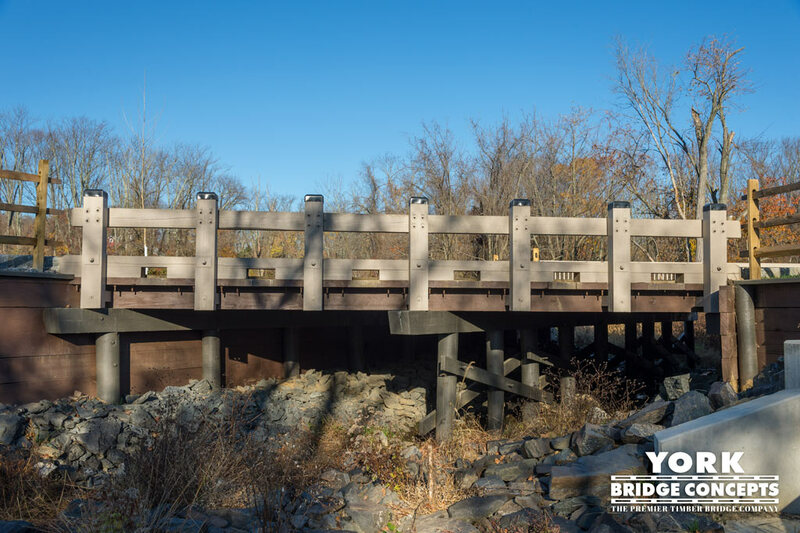 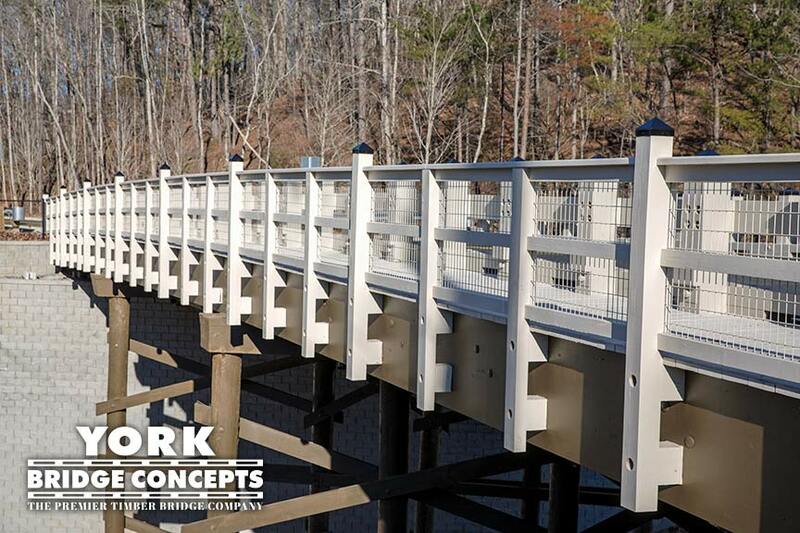 The Hampton Lake Bridge is a beautiful testament to timber’s ability to fuse architecture with nature’s gifts, in a harmonious partnership by the hands of YBC. 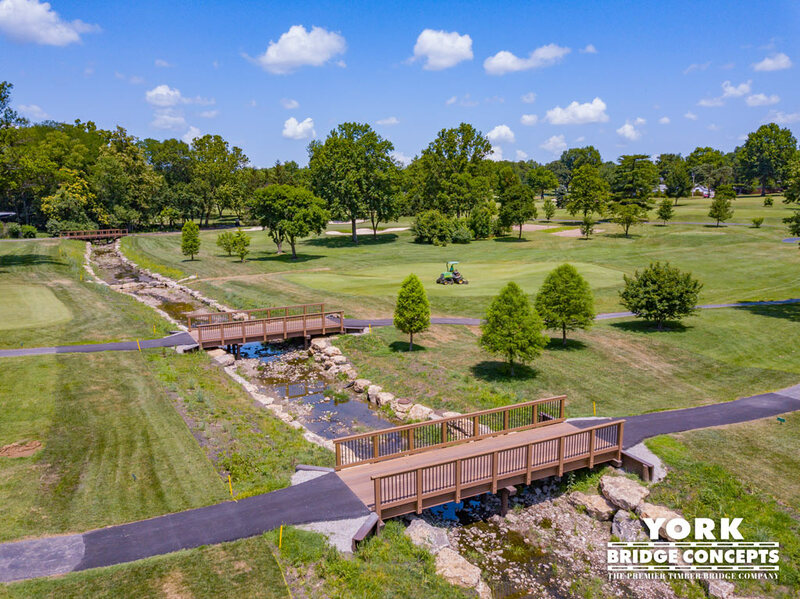 "The YBC team was easy to work with, on schedule, and very responsive. 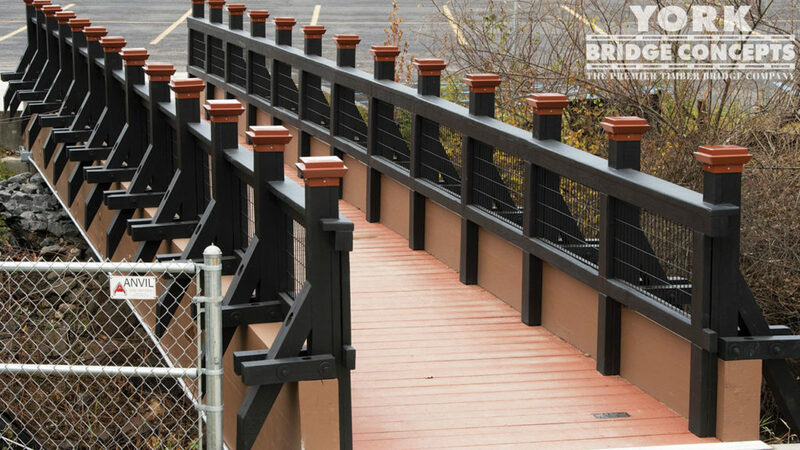 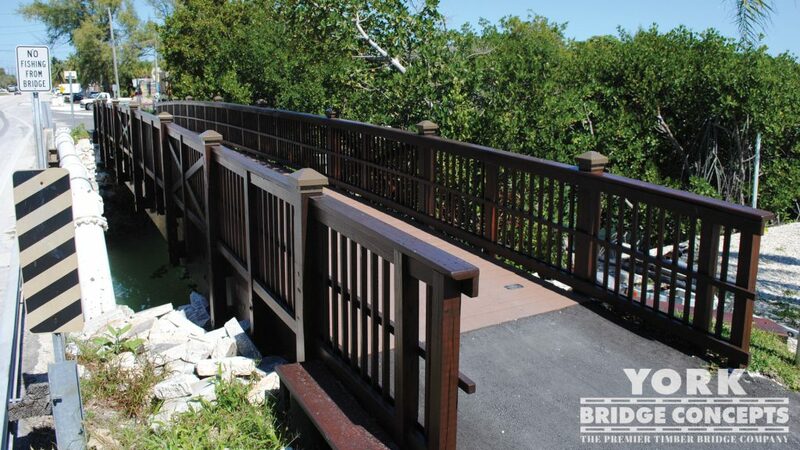 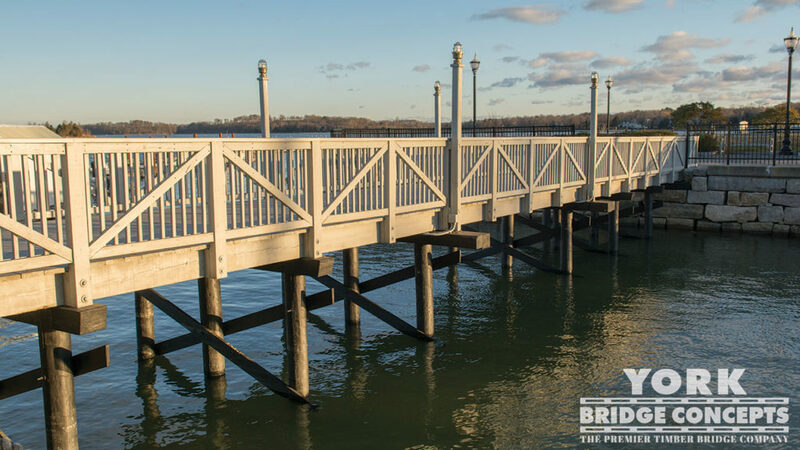 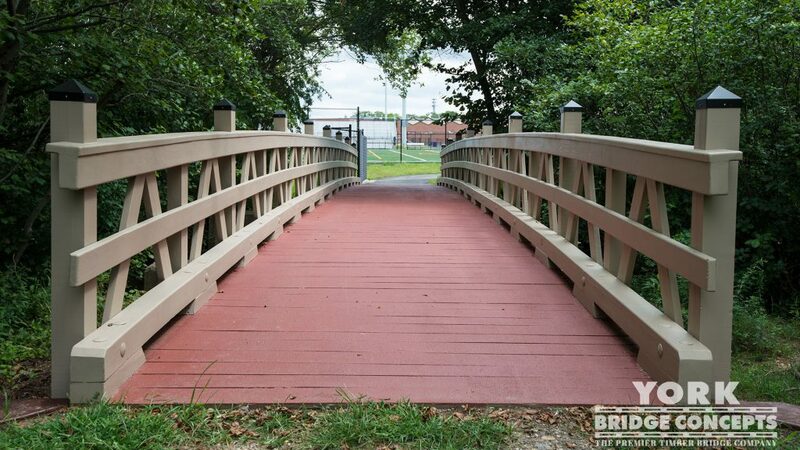 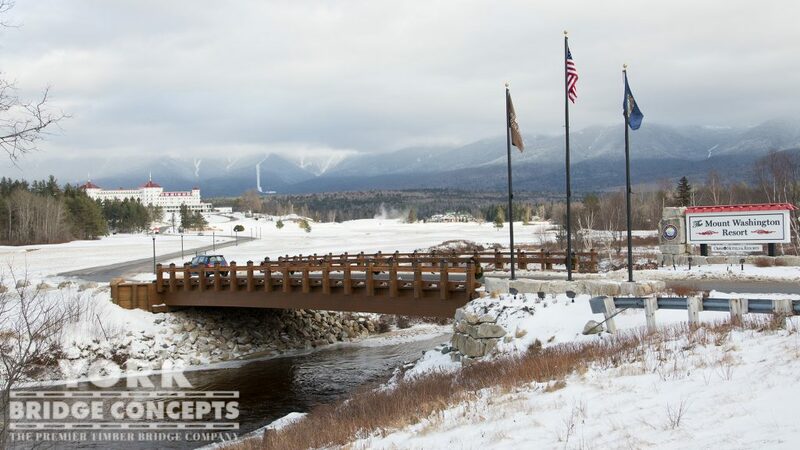 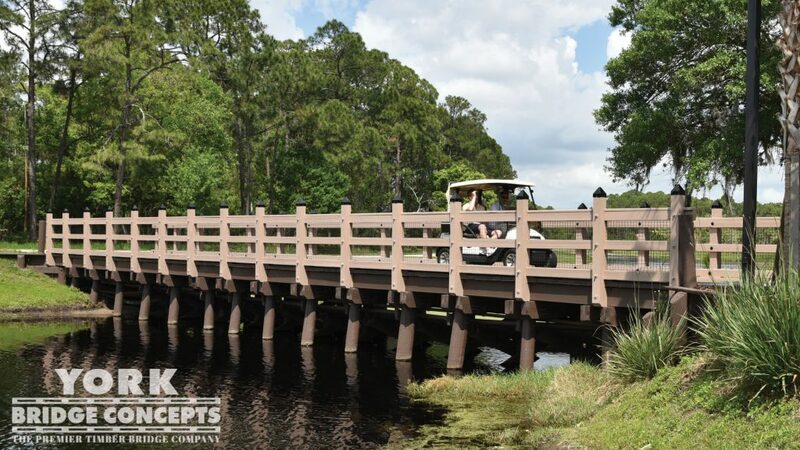 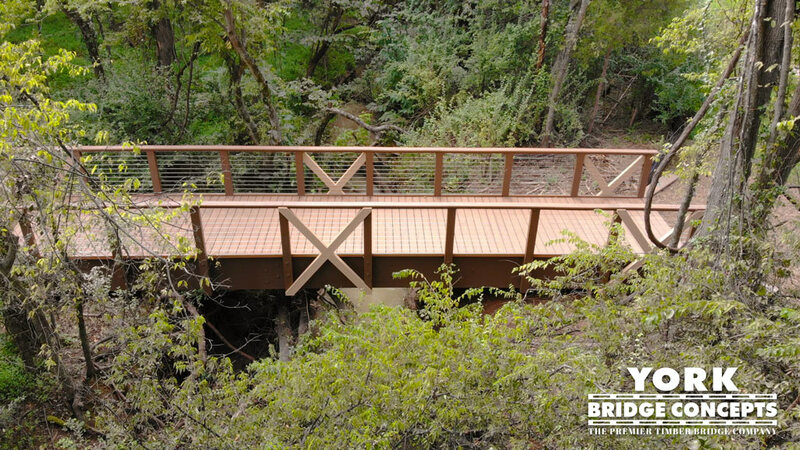 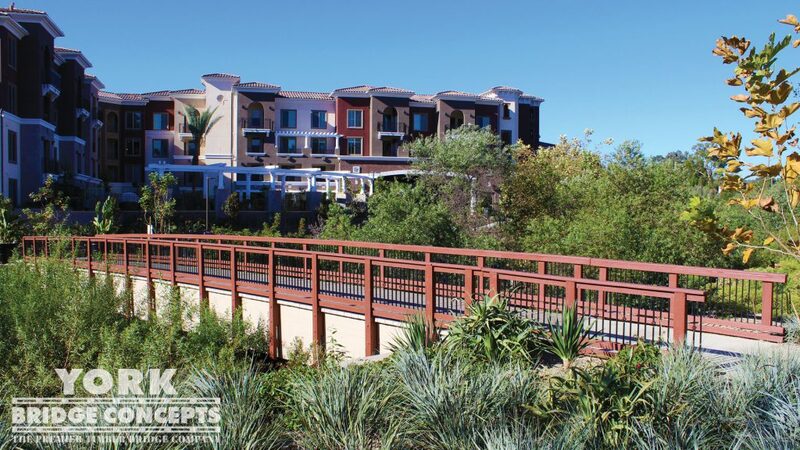 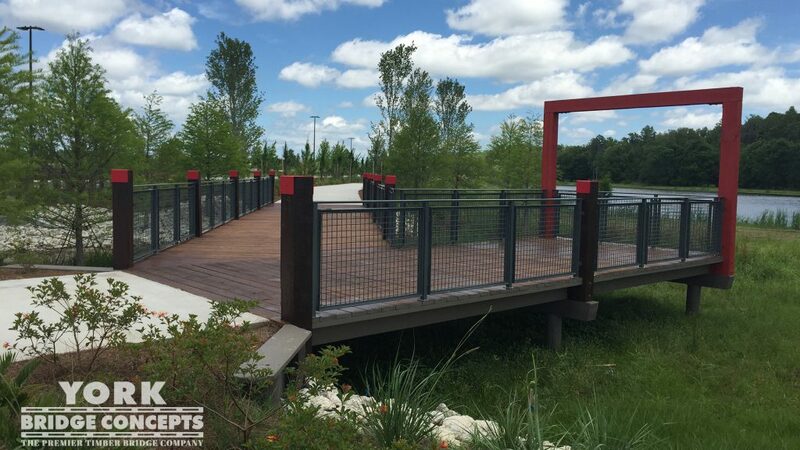 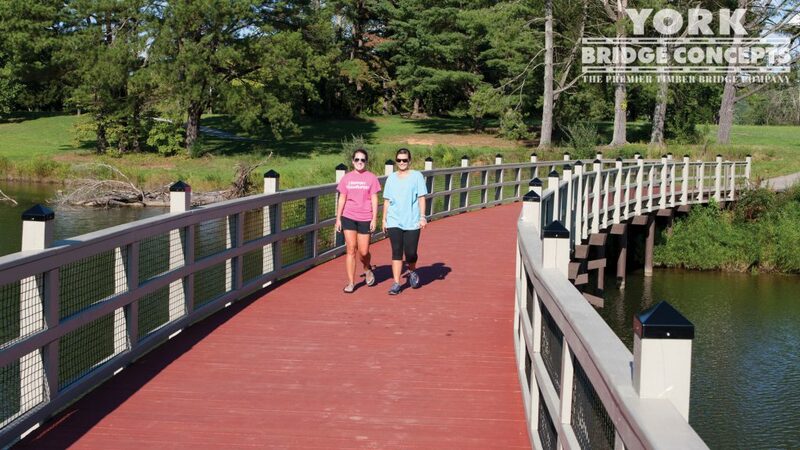 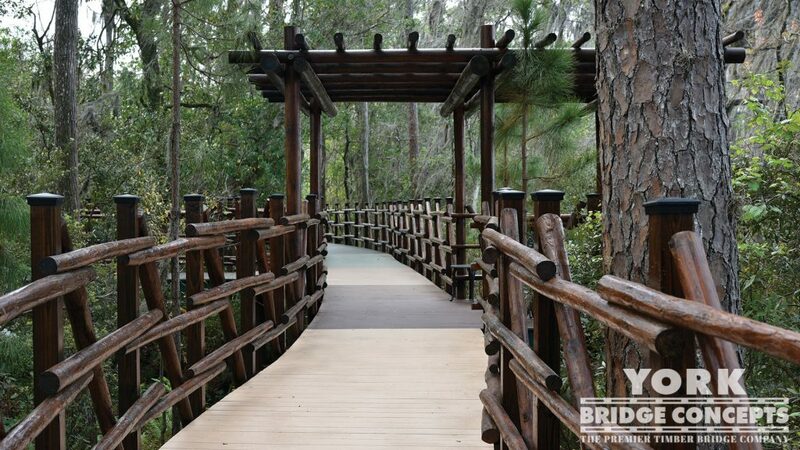 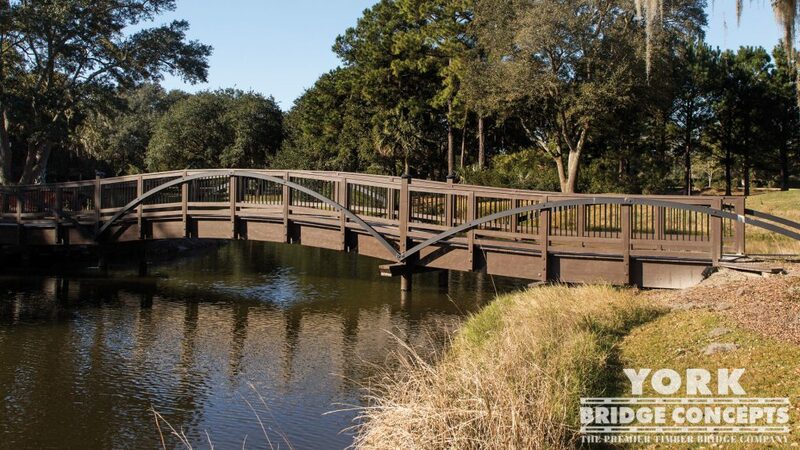 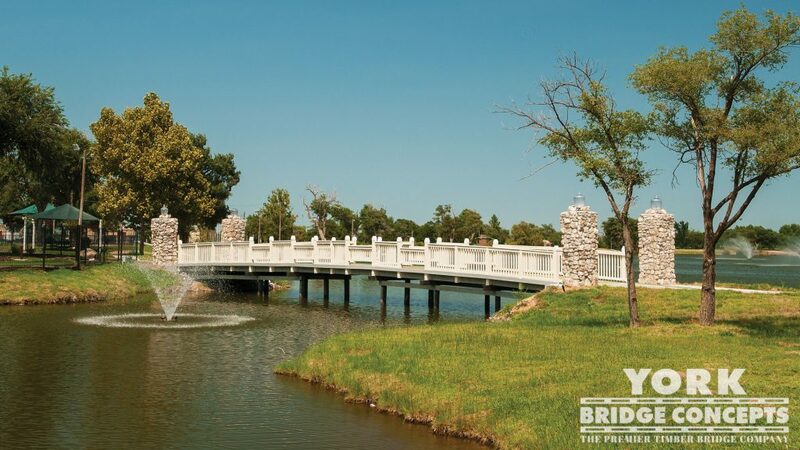 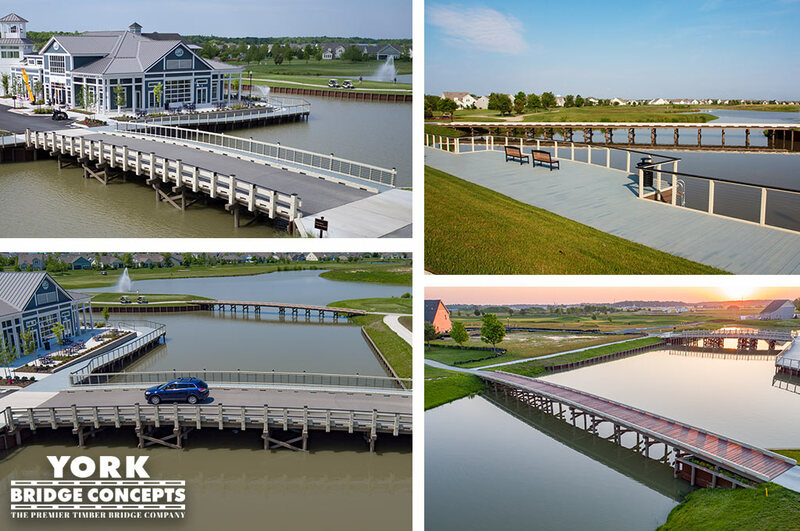 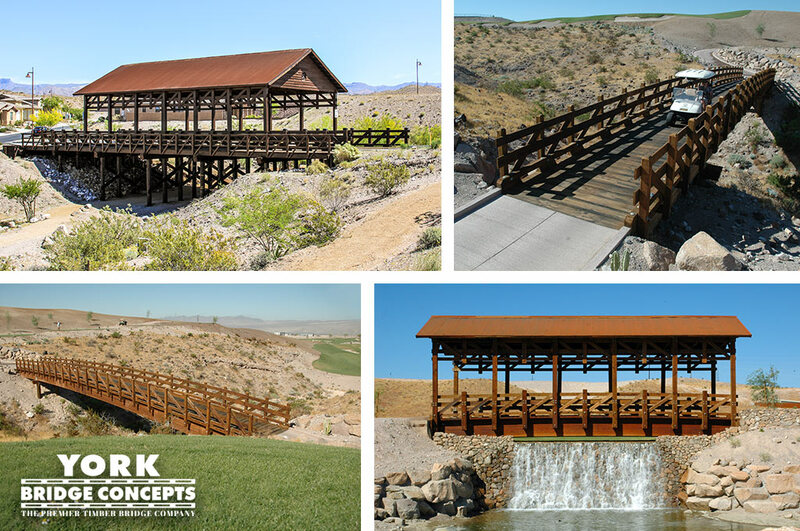 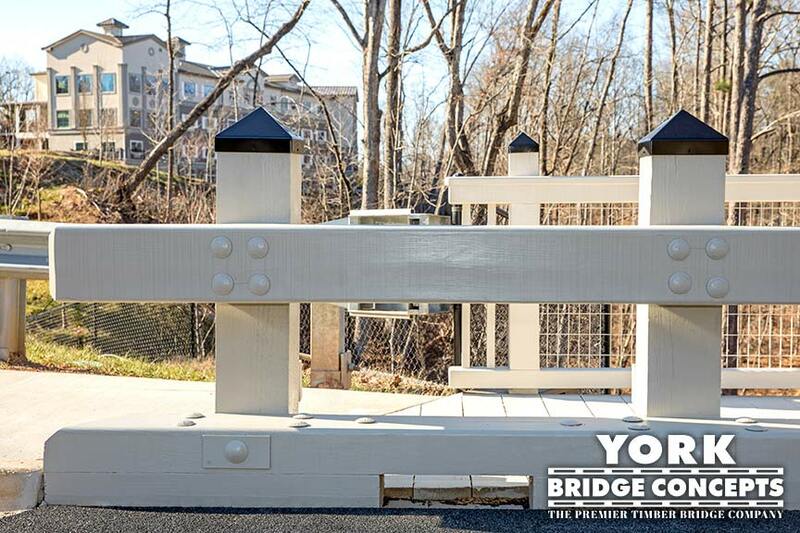 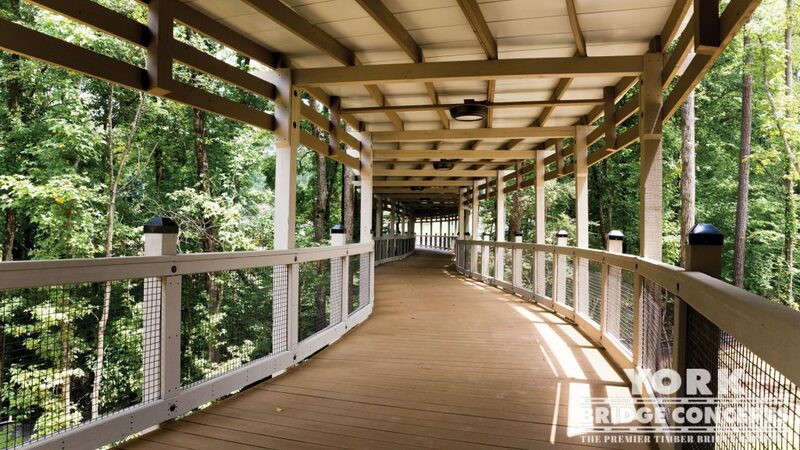 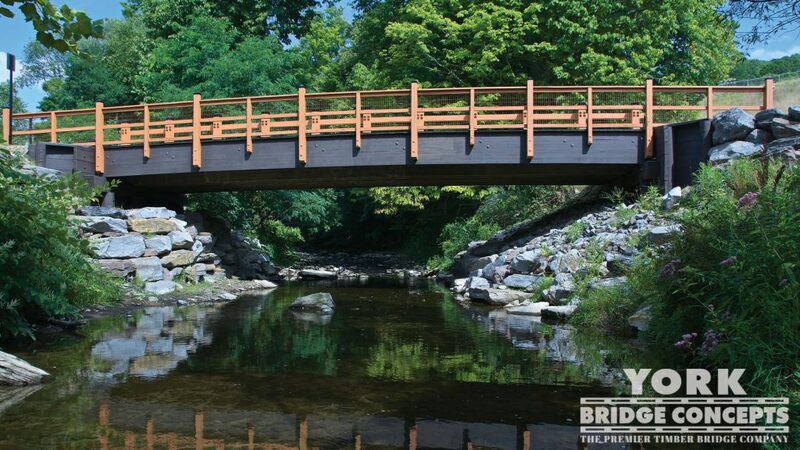 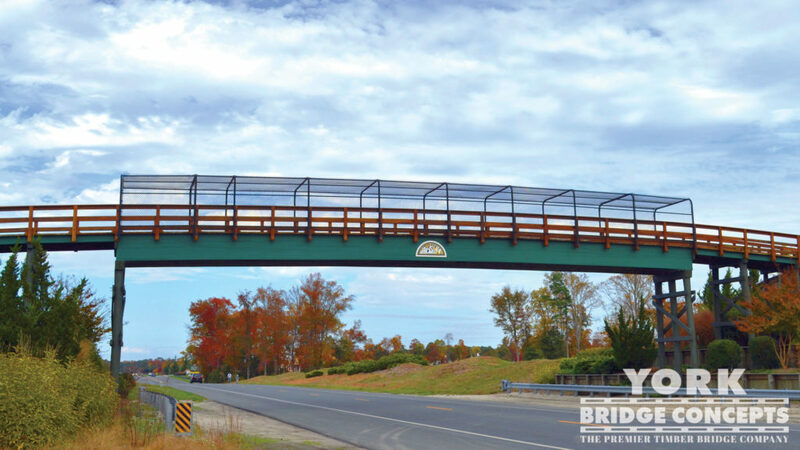 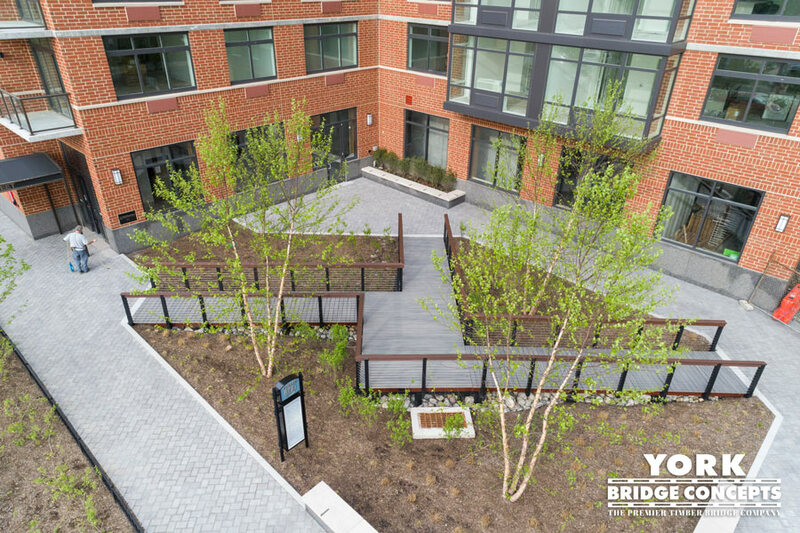 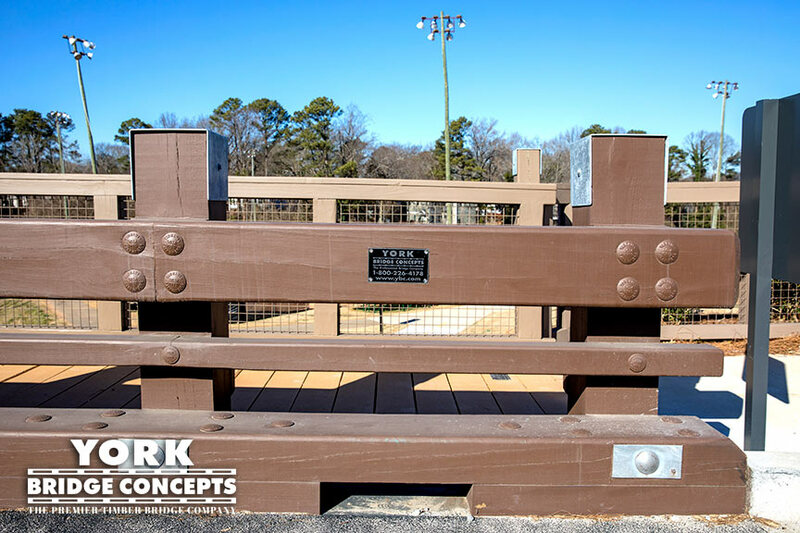 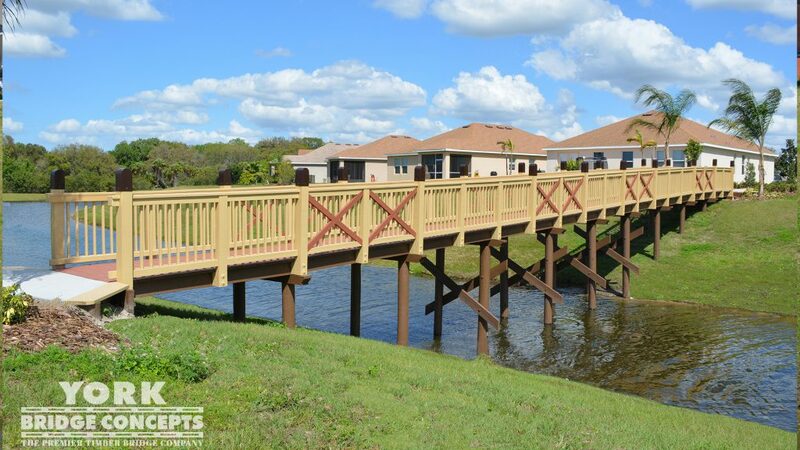 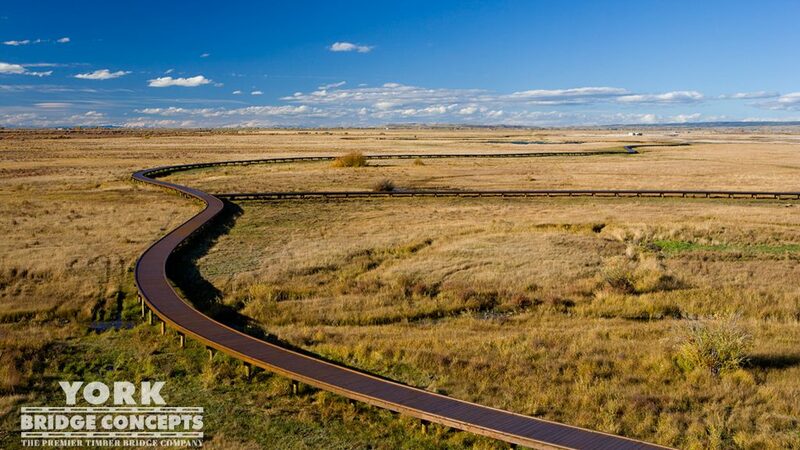 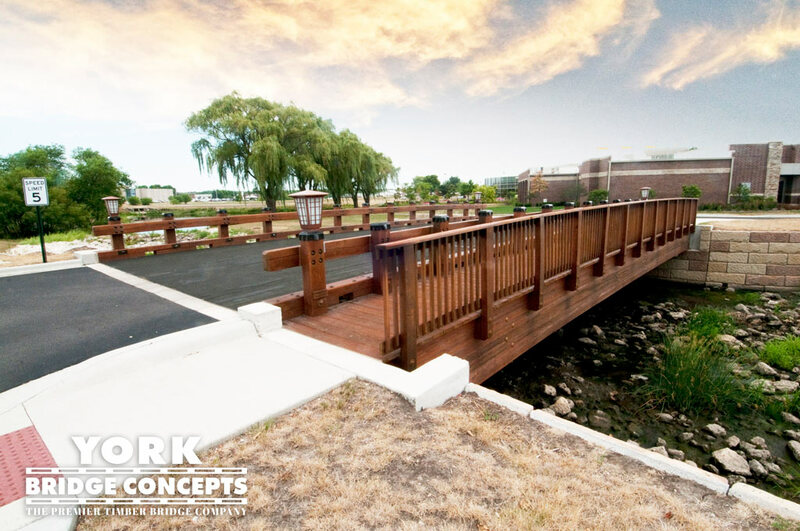 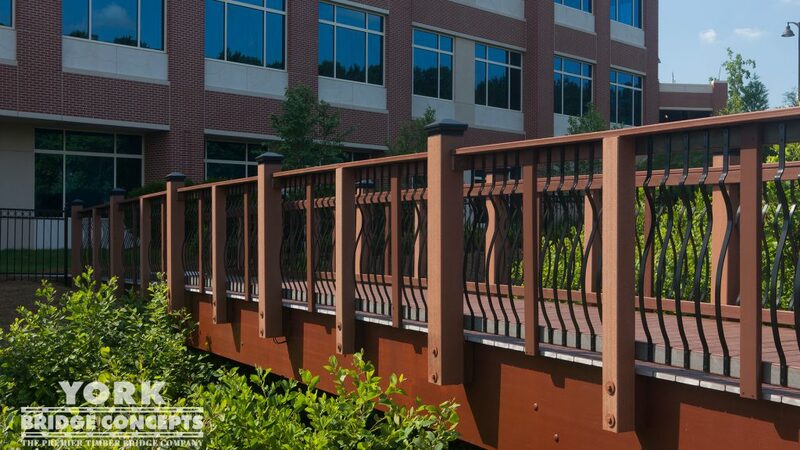 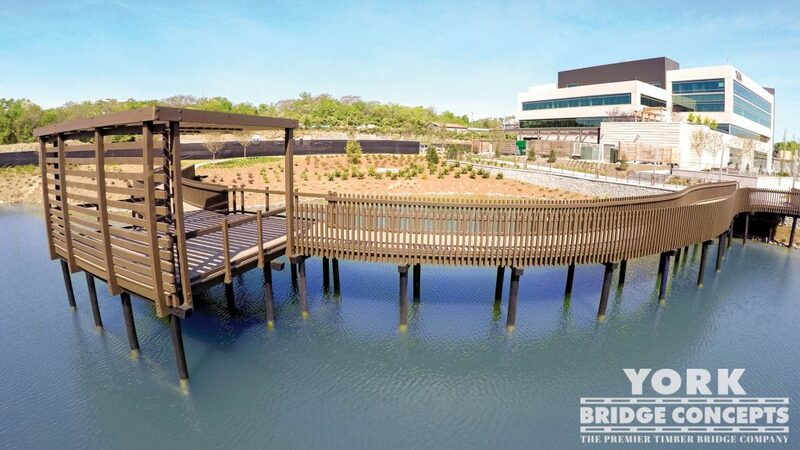 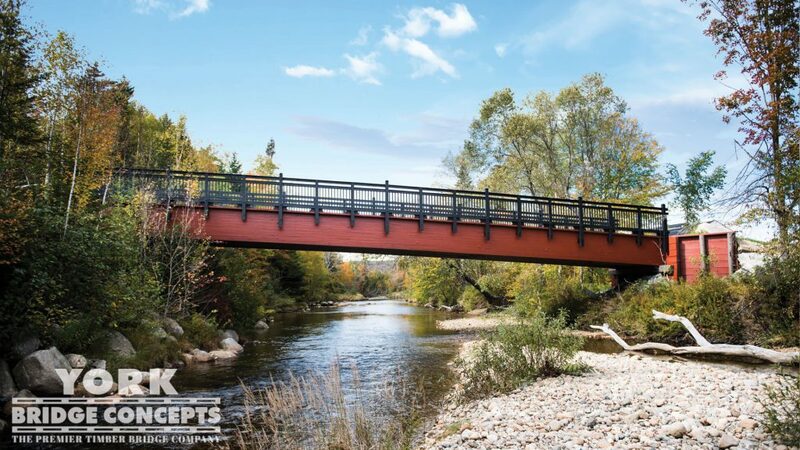 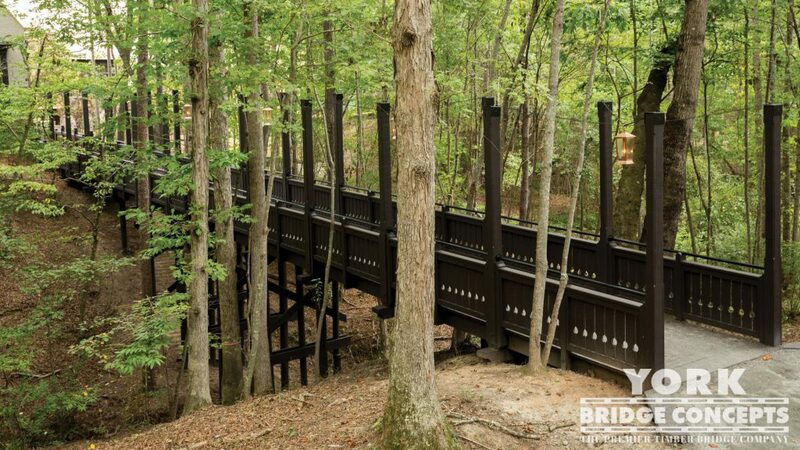 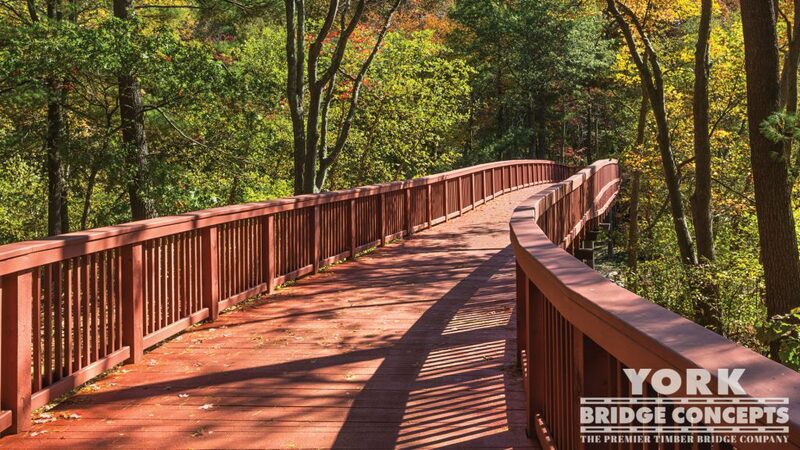 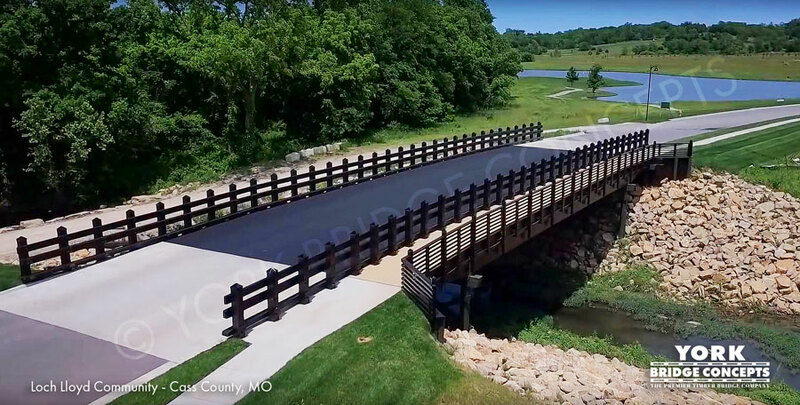 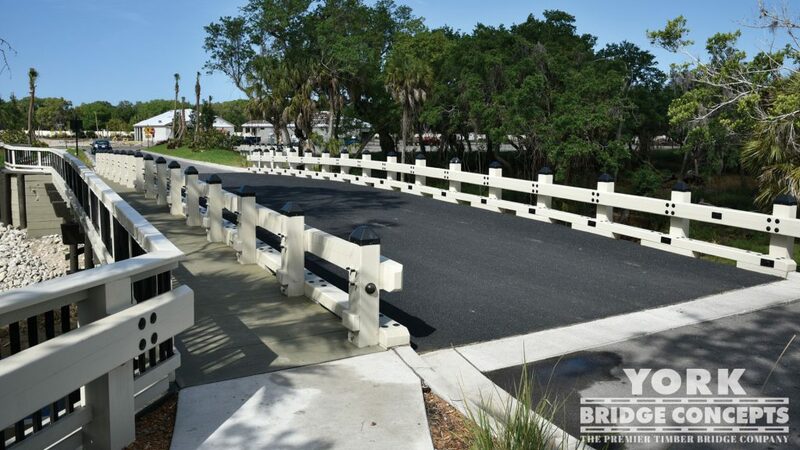 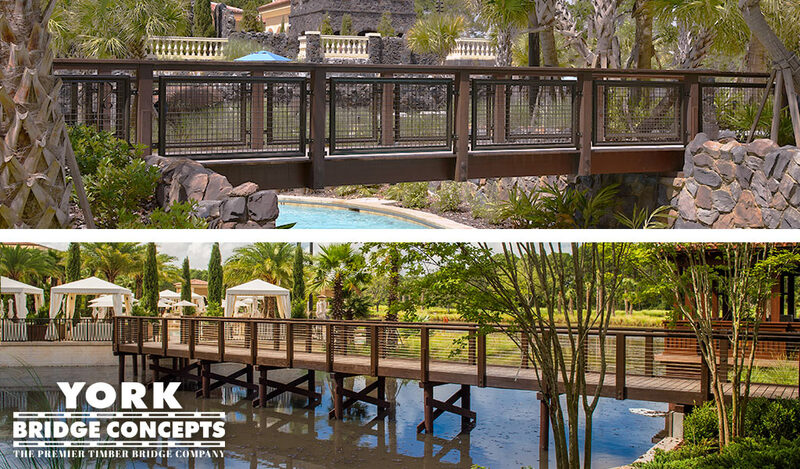 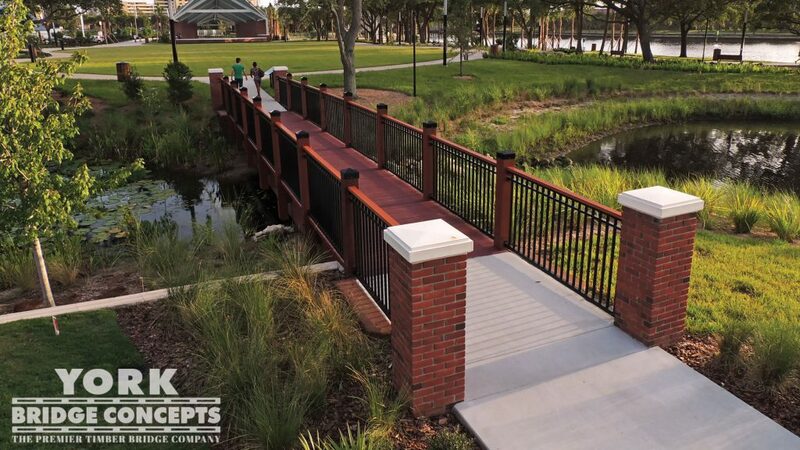 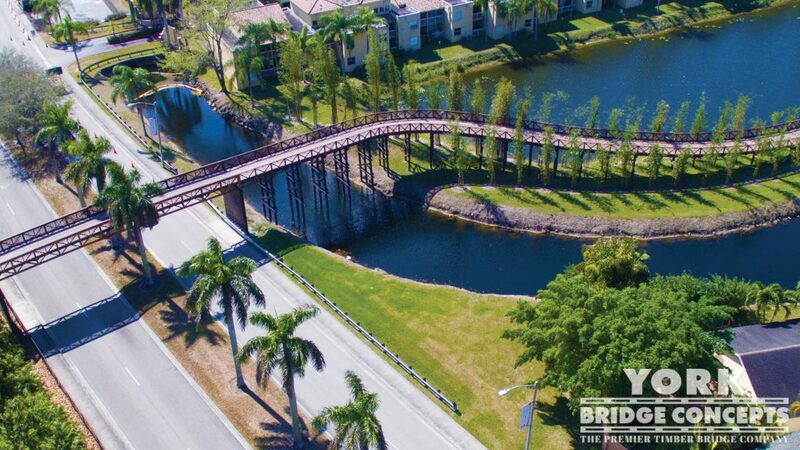 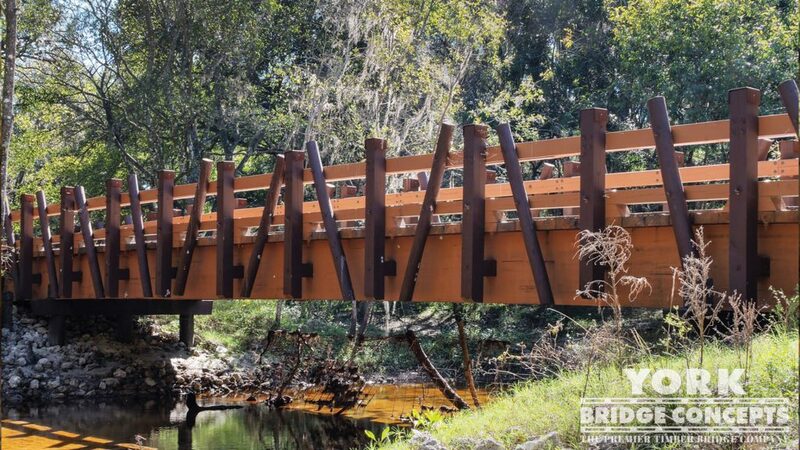 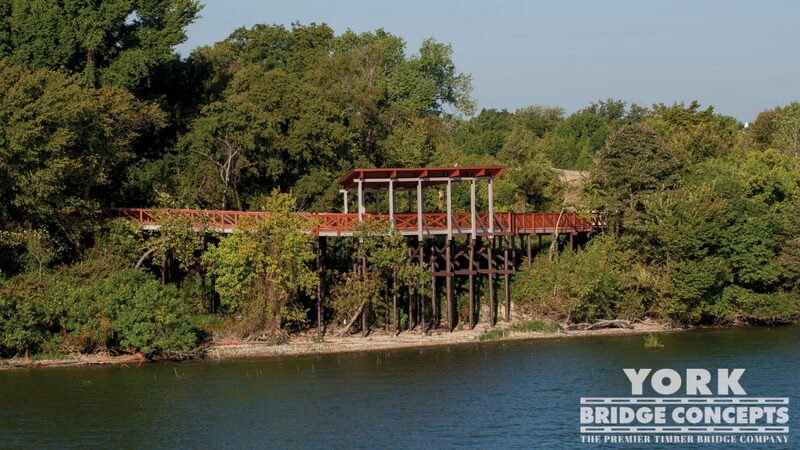 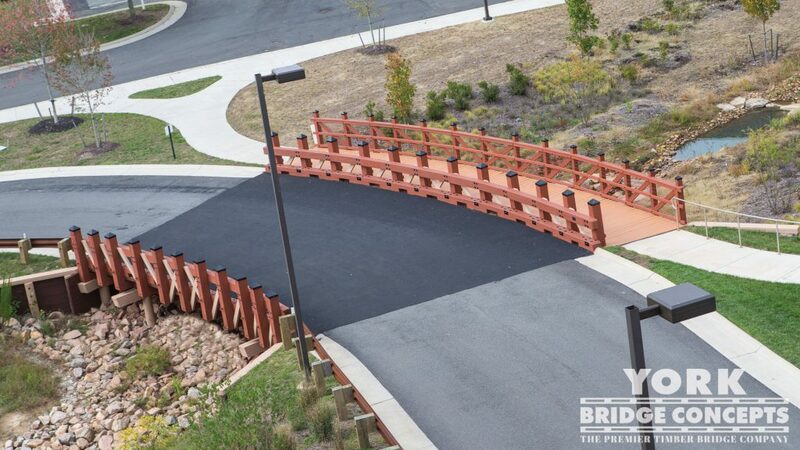 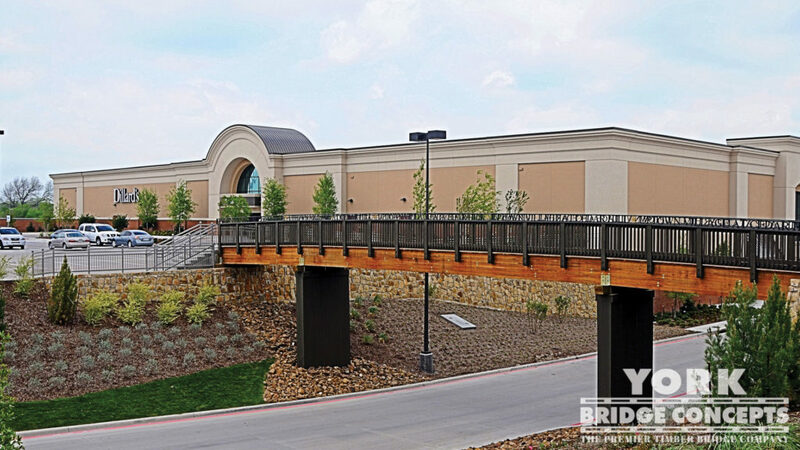 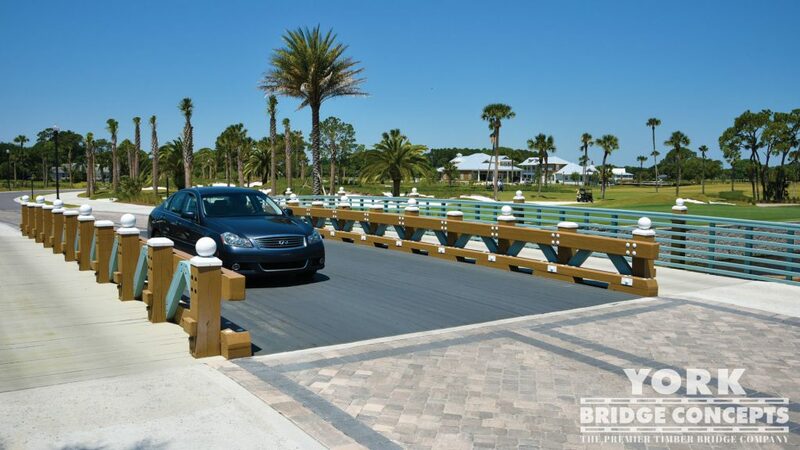 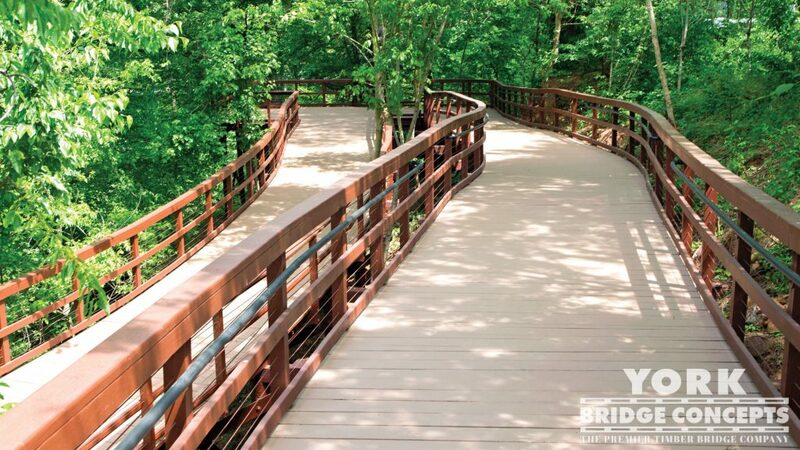 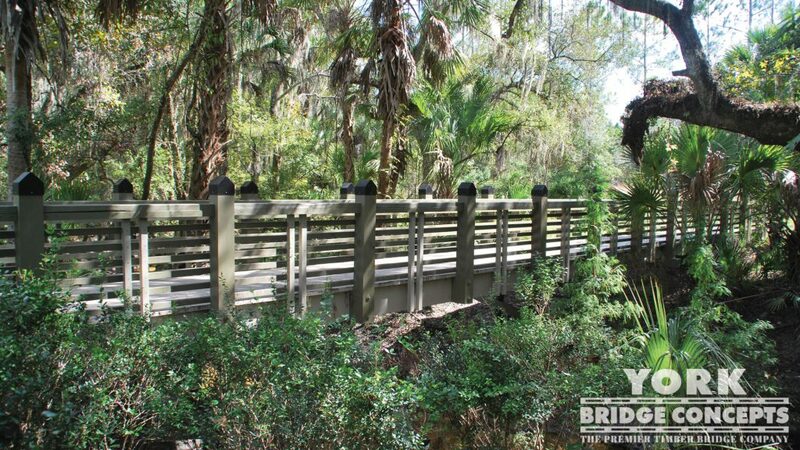 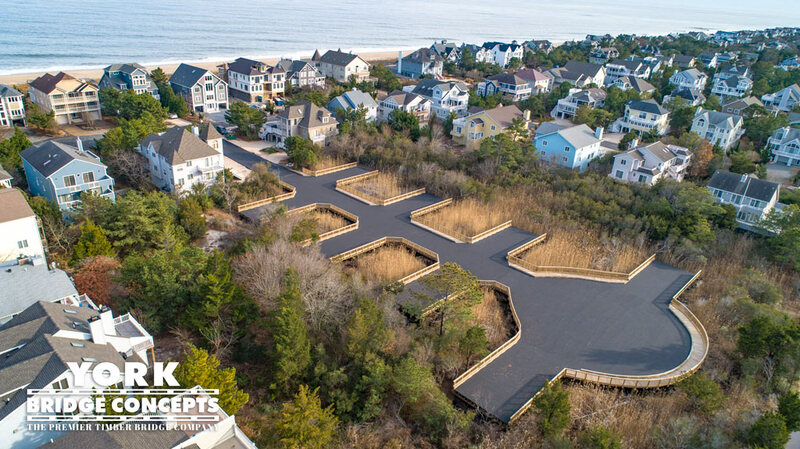 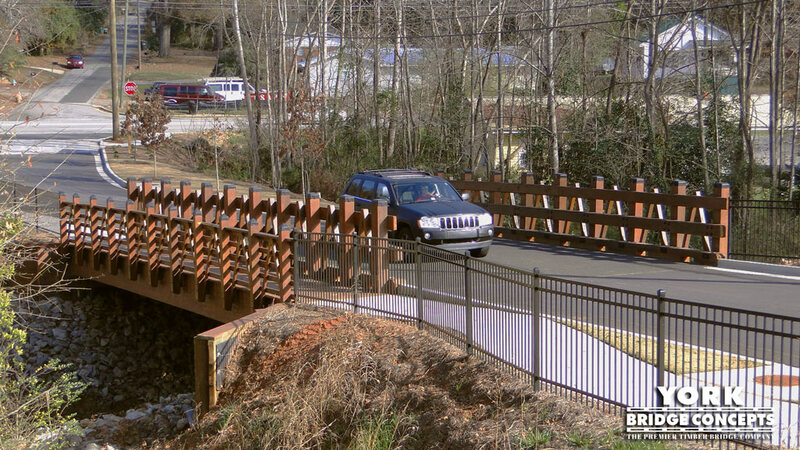 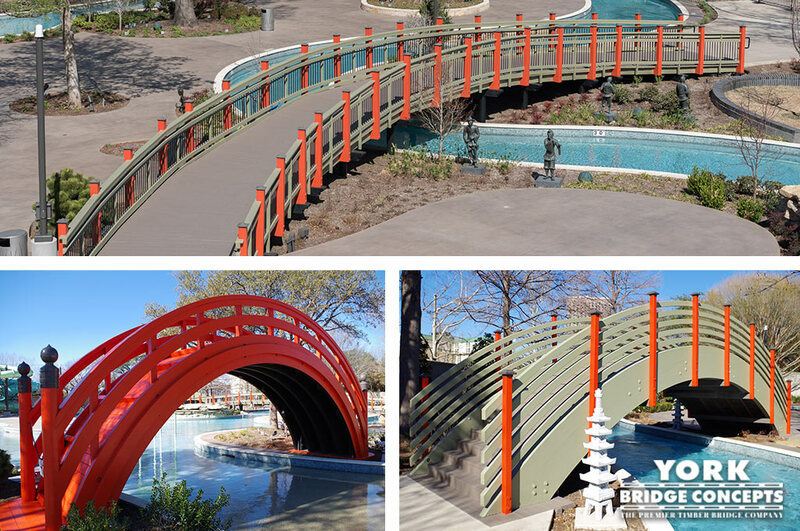 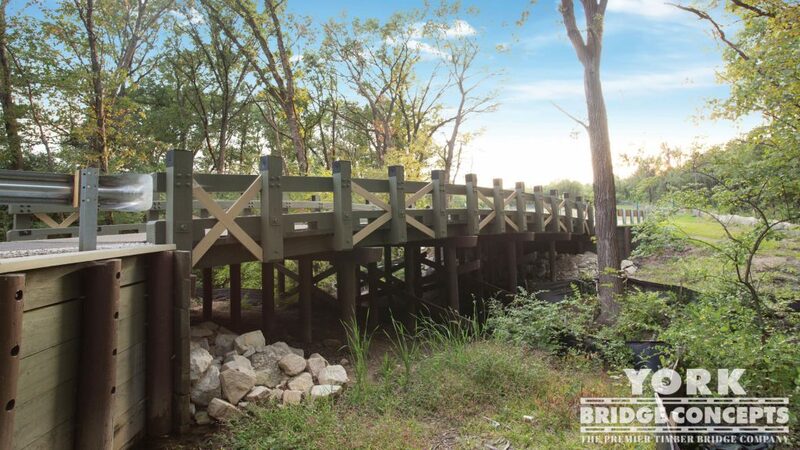 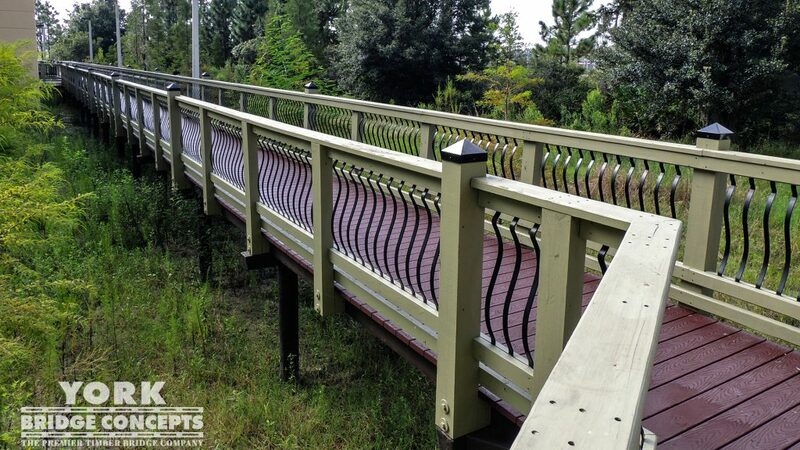 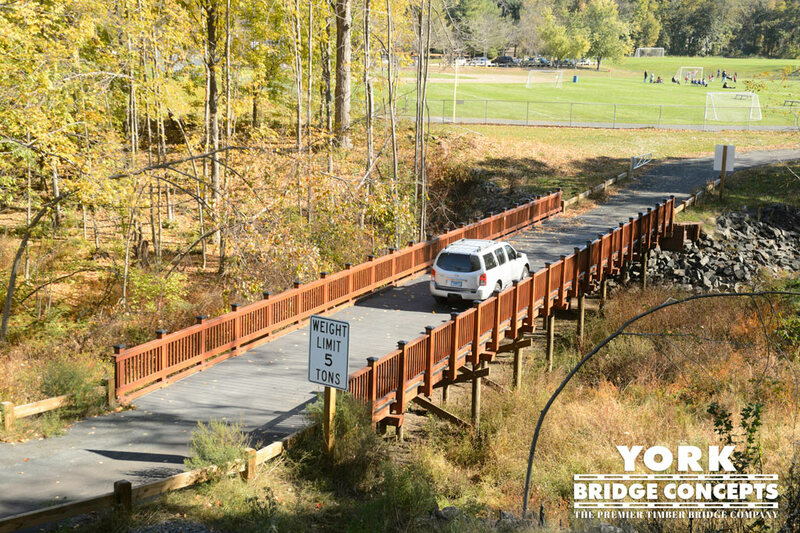 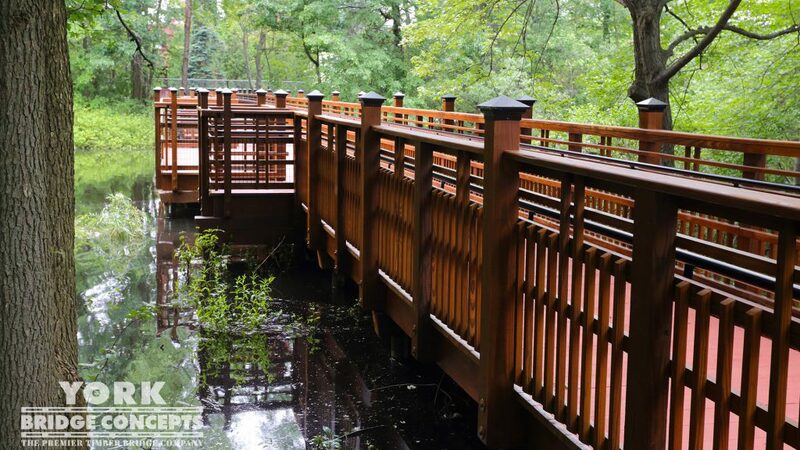 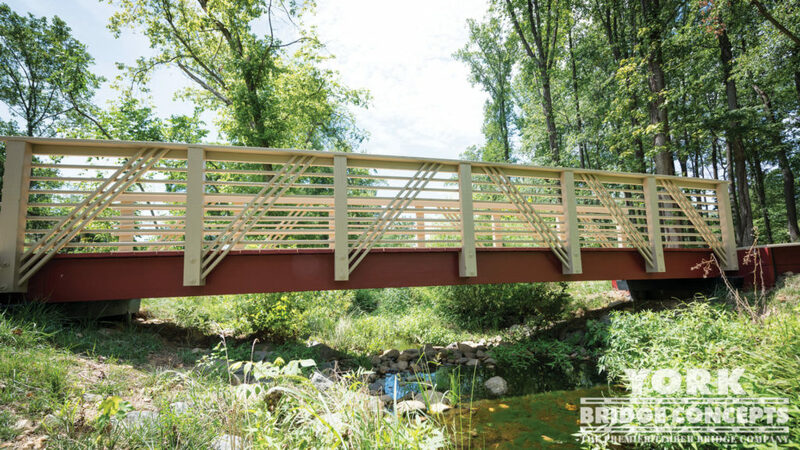 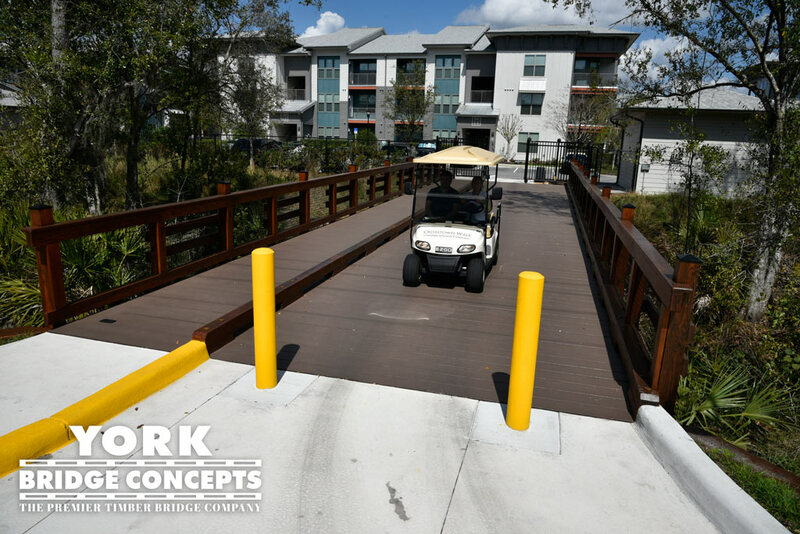 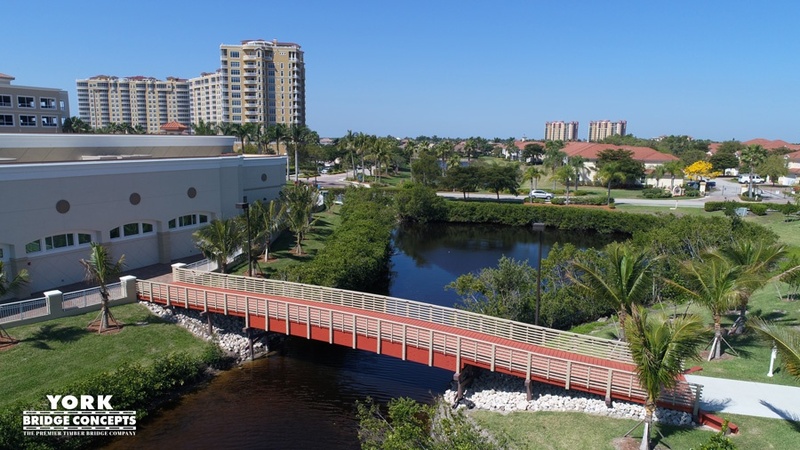 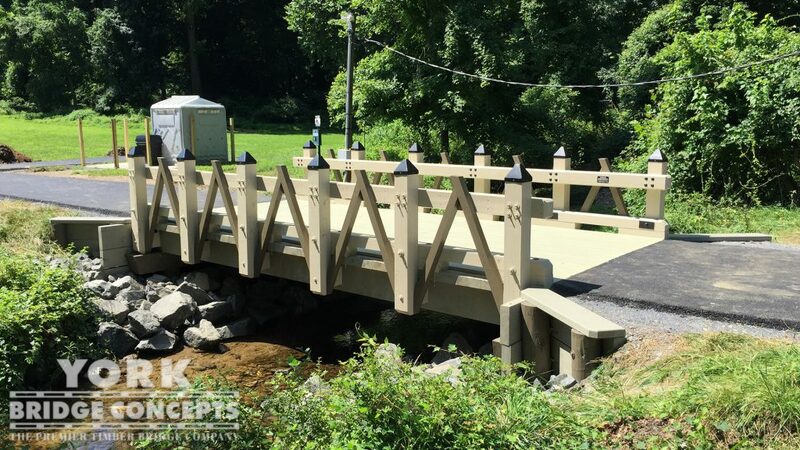 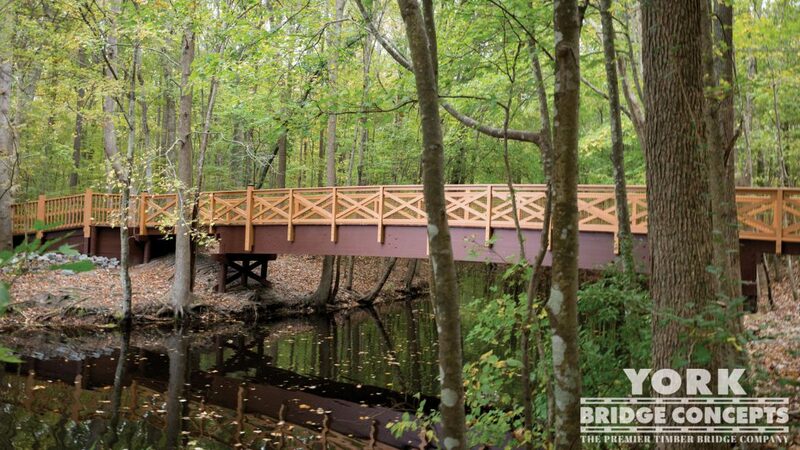 The bridge integrates nicely into the landscape with a slick translucent dark brown color scheme that looks natural."